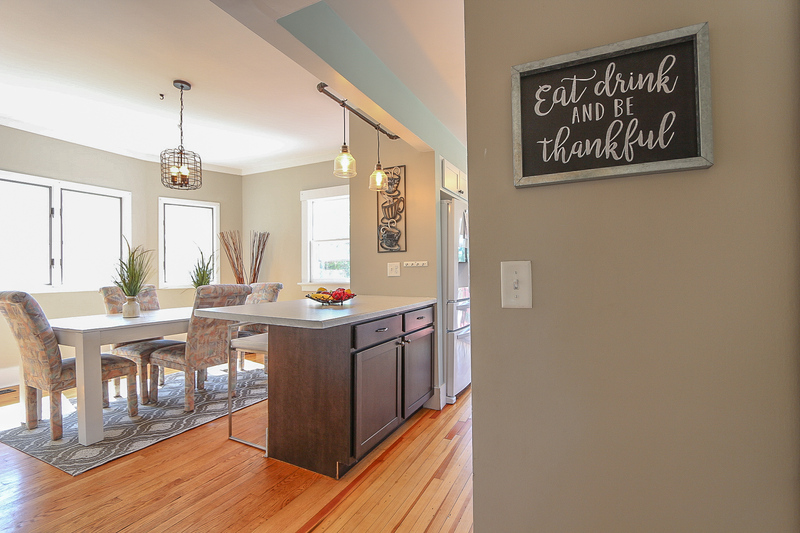 Thank you for showing interest in this beautiful home. 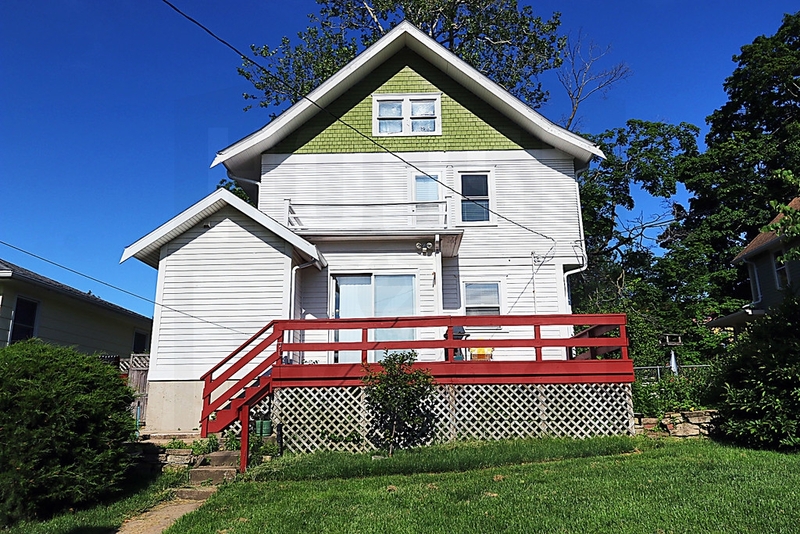 For more information on the availability of this home or others like it, contact us by phone 319-804-8998 or at info@contract2home.com. 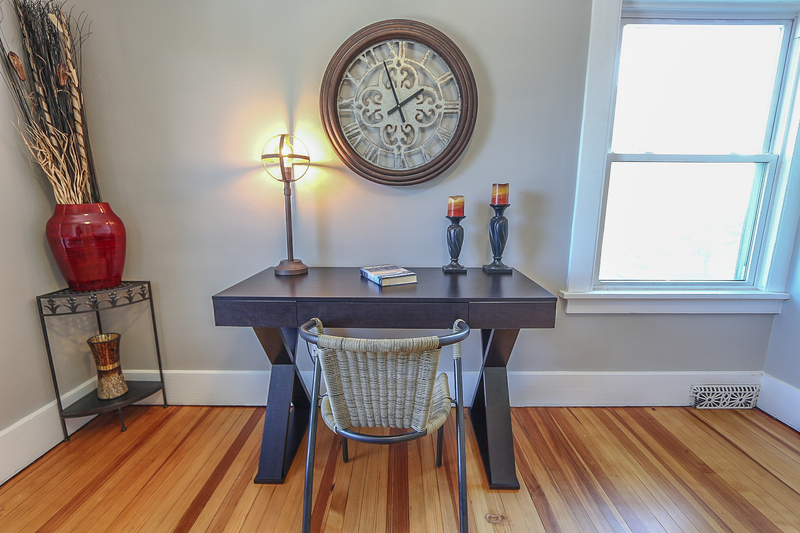 To see if you qualify for contract terms, head to our APPLY NOW page. 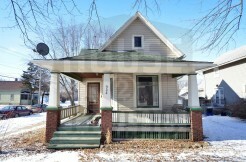 Offers1 must be submitted via email. 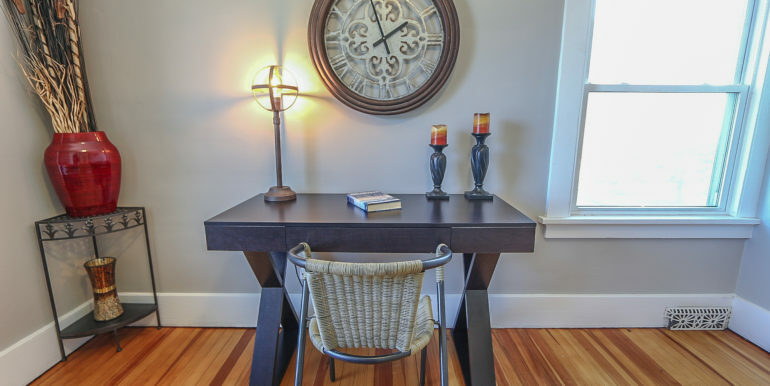 1 – Contract buyer offers are given 1st priority until October 1st. 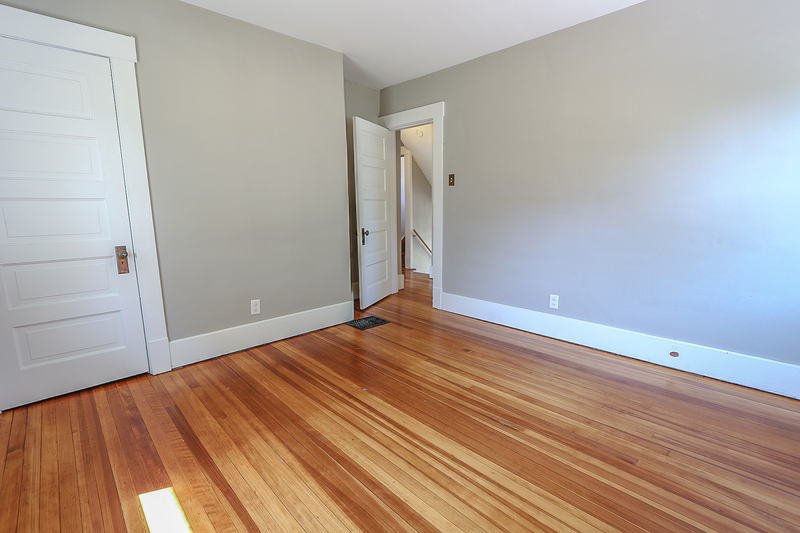 Traditional Offers may be submitted at any time but will not be acknowledged until after October 1st. 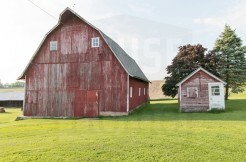 After October 1st, offers will be opened and acknowledged in the order that they were/are received. 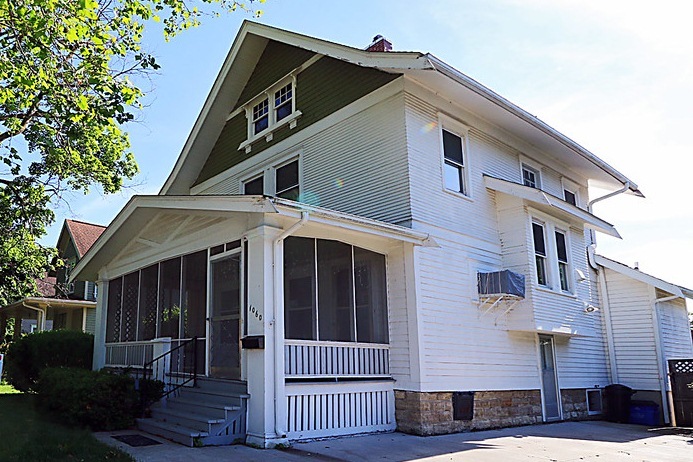 Application must be submitted and approved by October 15th, 2018 to receive move-in specials. 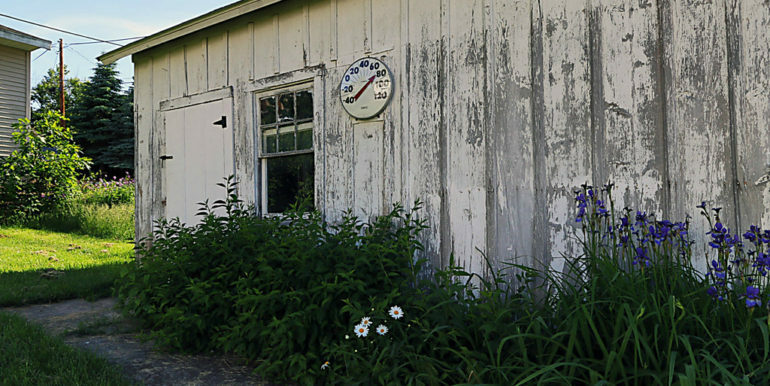 Application must include proof-of-funds verifying money down. 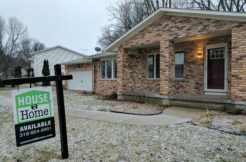 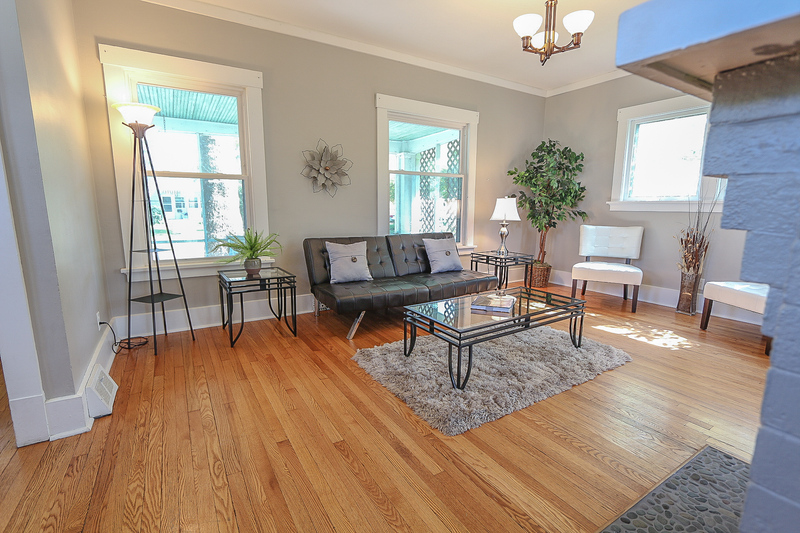 If you are a Realtor and would like to schedule a showing, please contact us at 319-804-8998. 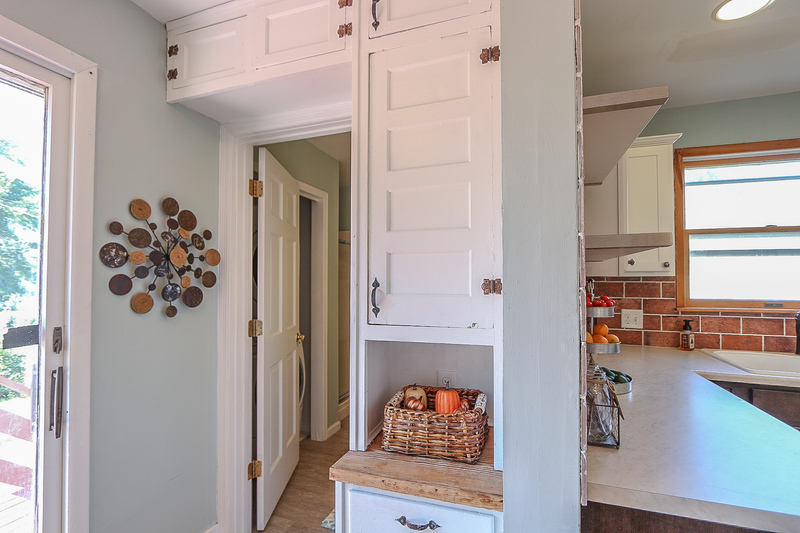 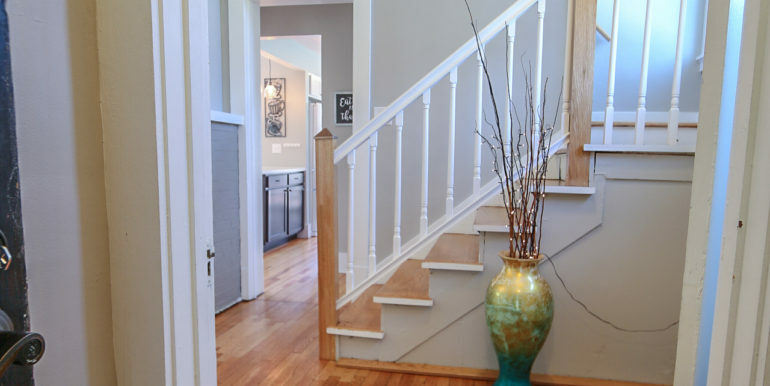 We love to breathe new life into homes and this one is no exception. 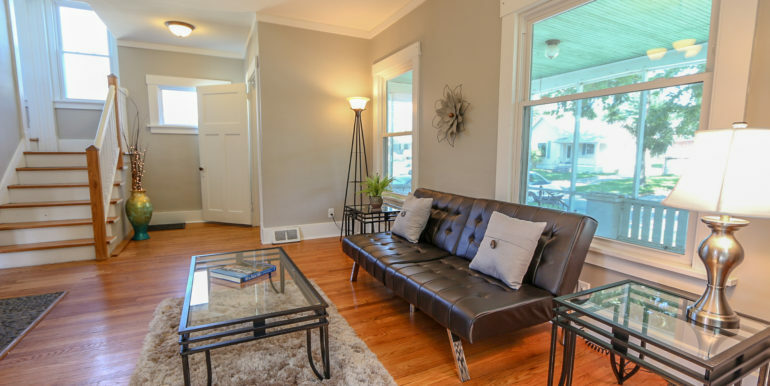 This stately Marion home has all the character of an older home, and we’re adding all the comfort and convenience of modern amenities. 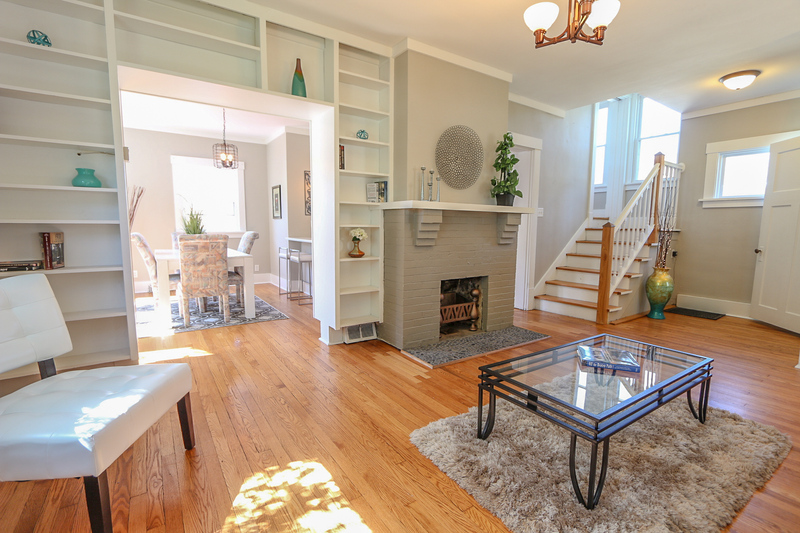 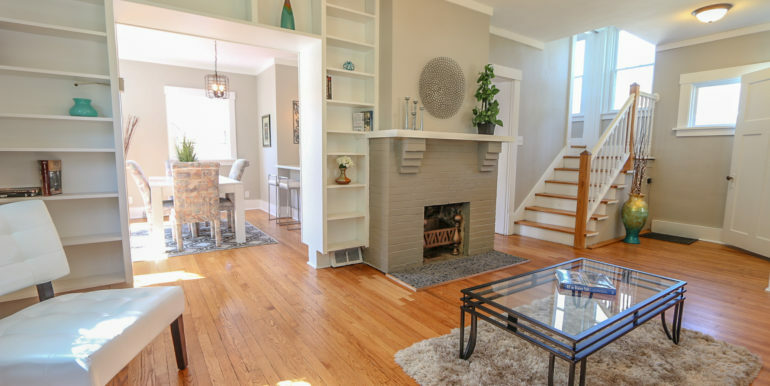 Stepping in from the screened-in porch through the entryway into the spacious living room, your eyes will be drawn to the brick wood-burning fireplace, wall of built-ins and refinished hardwood floors, leading to the formal dining room and remodeled kitchen. 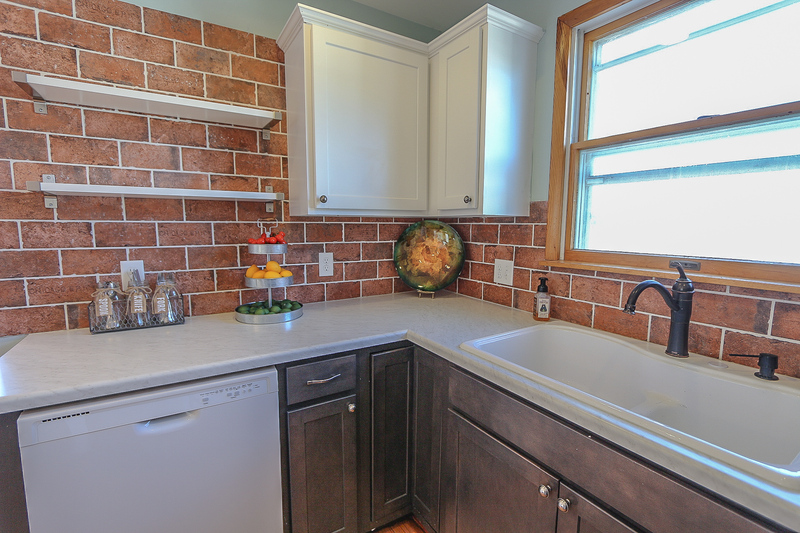 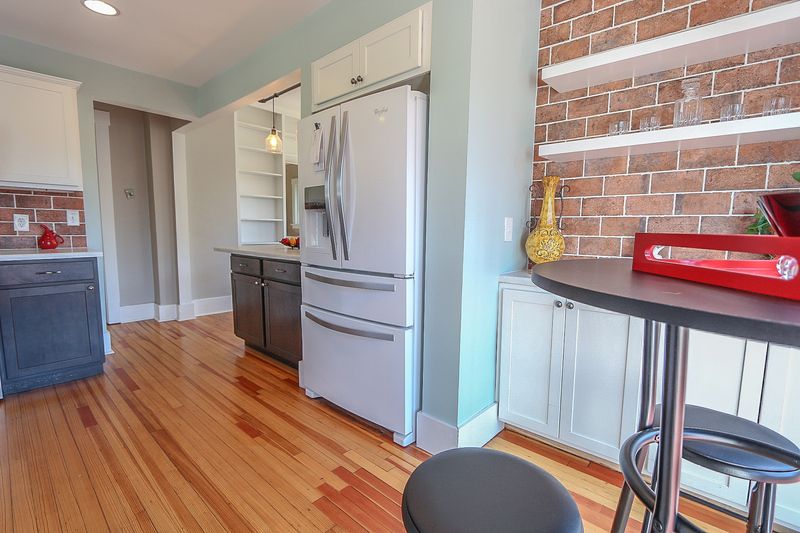 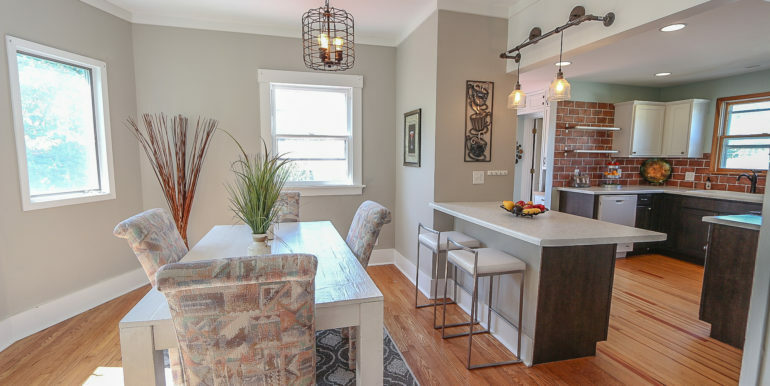 Our designers have made this a great open-concept kitchen, with all new appliances and countertops, crisp white cabinets and a unique ceramic Chicago brick backsplash. 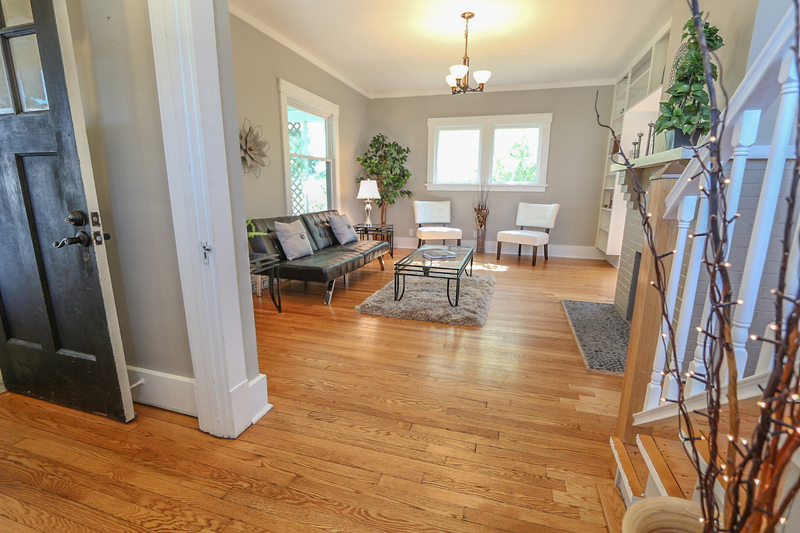 A main-floor laundry keeps everything close and convenient (Washer and Dryer NOT included). 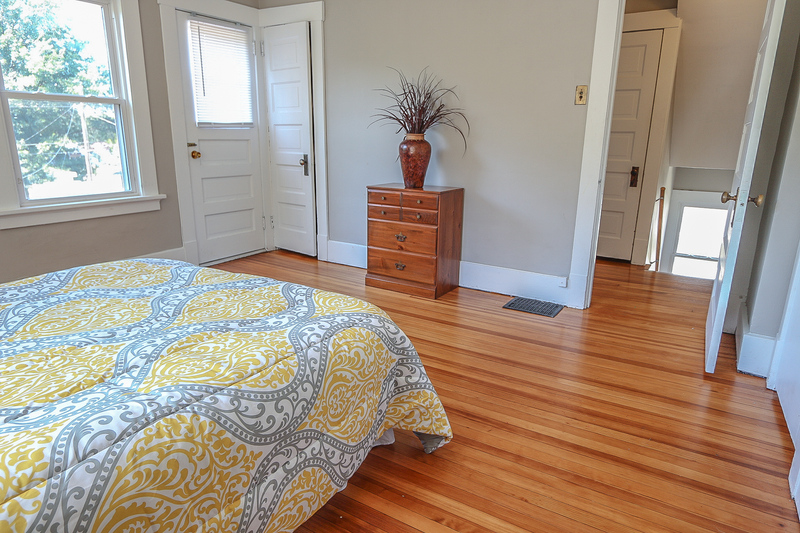 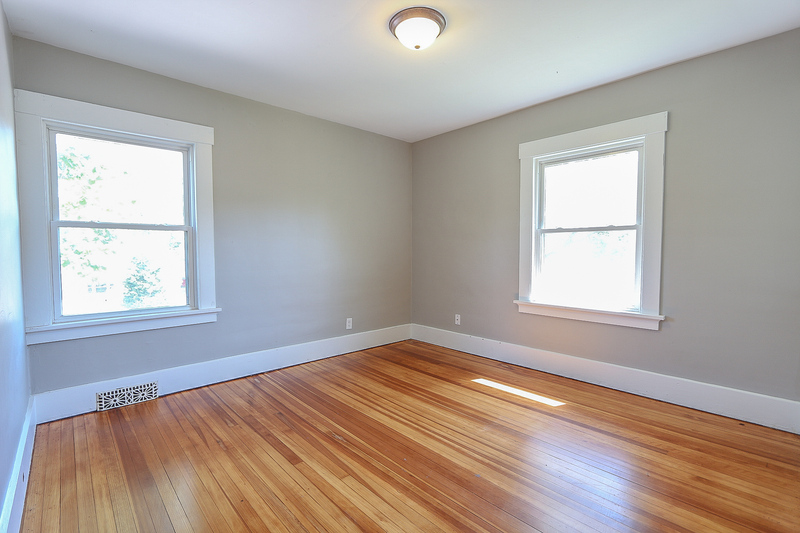 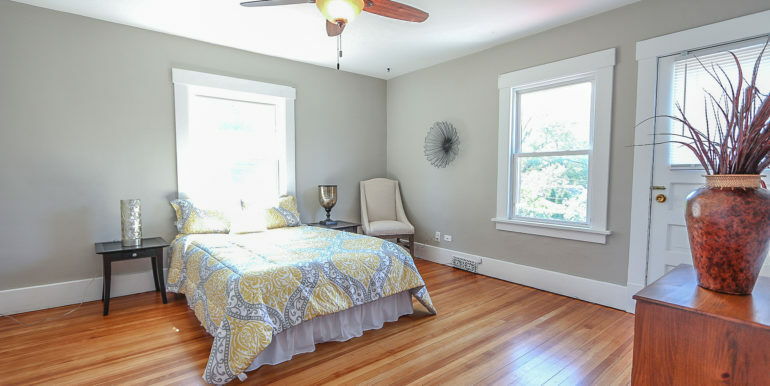 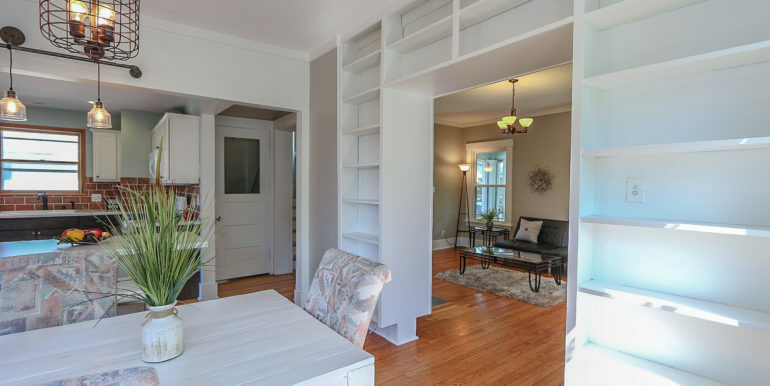 Upstairs, the three bedrooms all have large windows which let in lots of natural light, and generously sized closets with ample storage space. 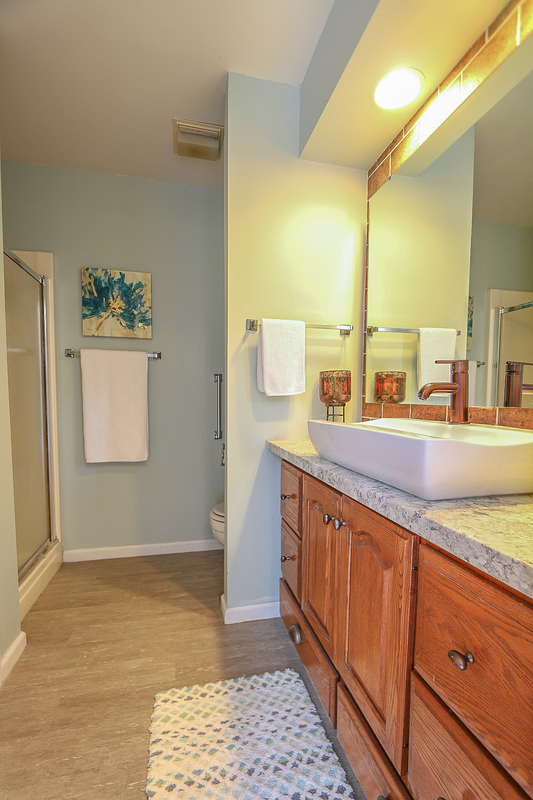 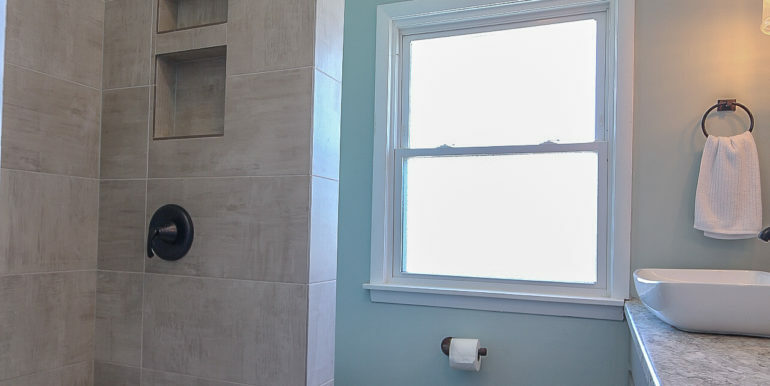 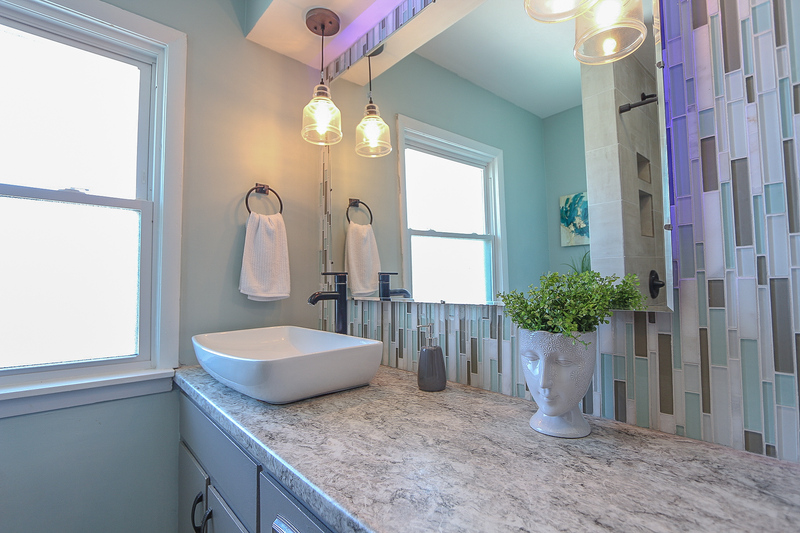 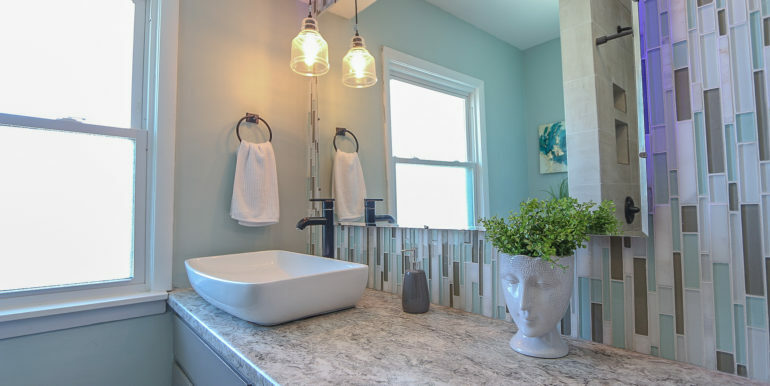 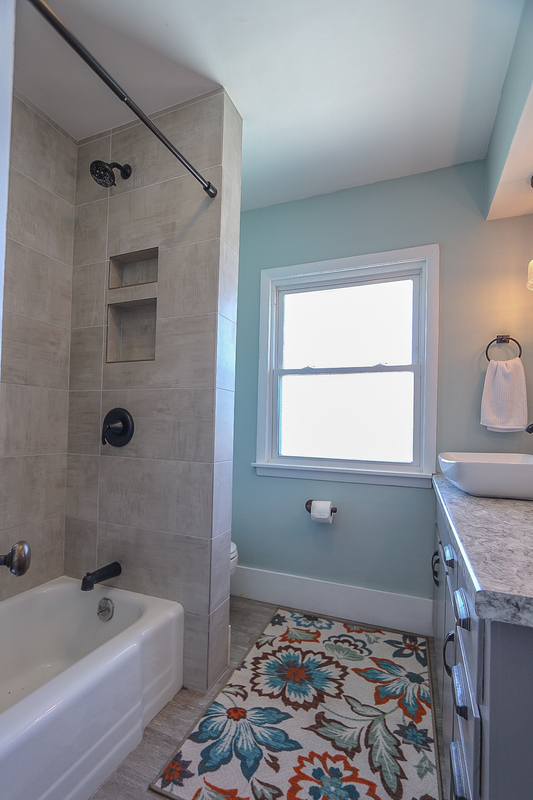 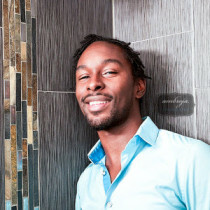 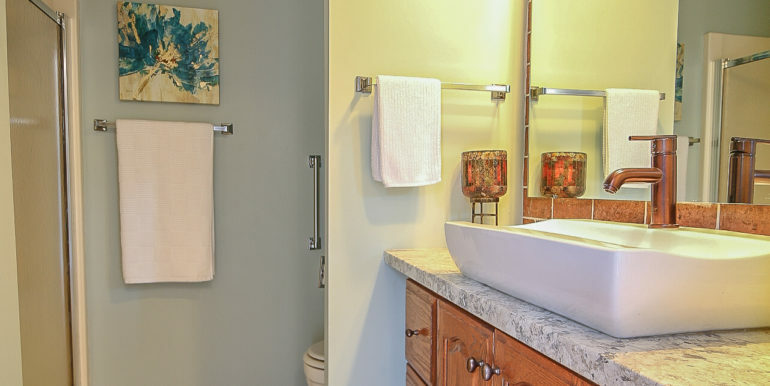 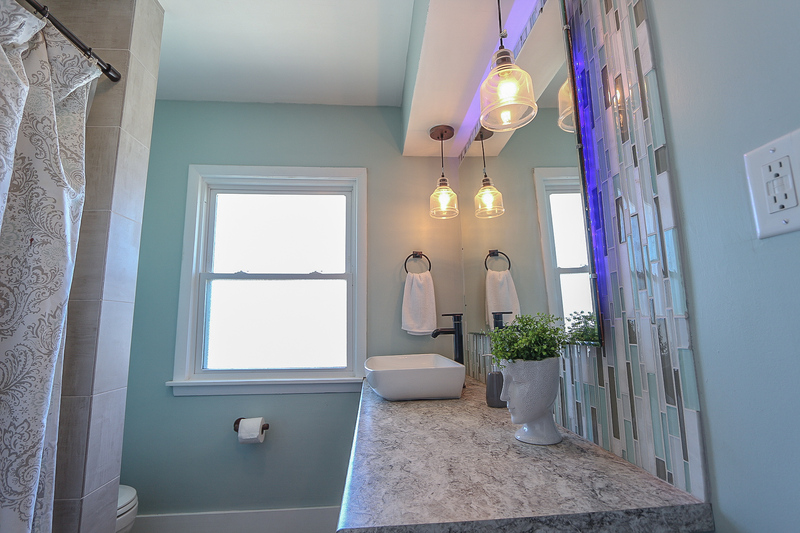 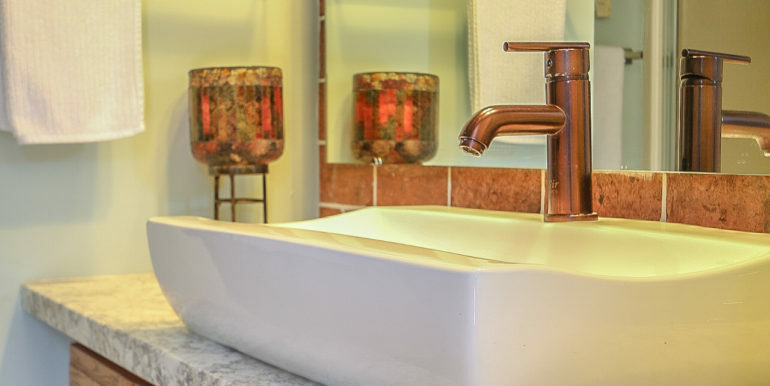 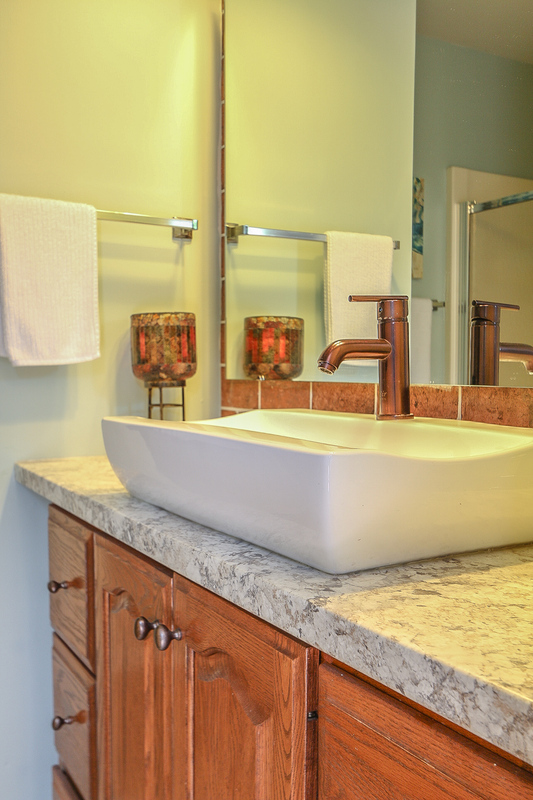 A tiled shower in the full bathroom are complemented by a new vanity and fixtures, and the built-ins just outside allow for plenty of storage. 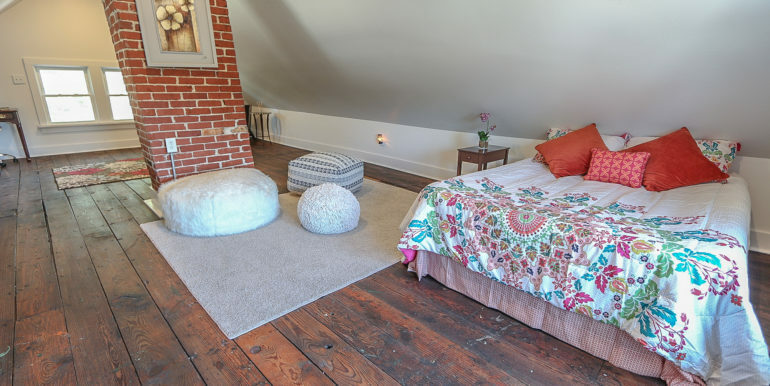 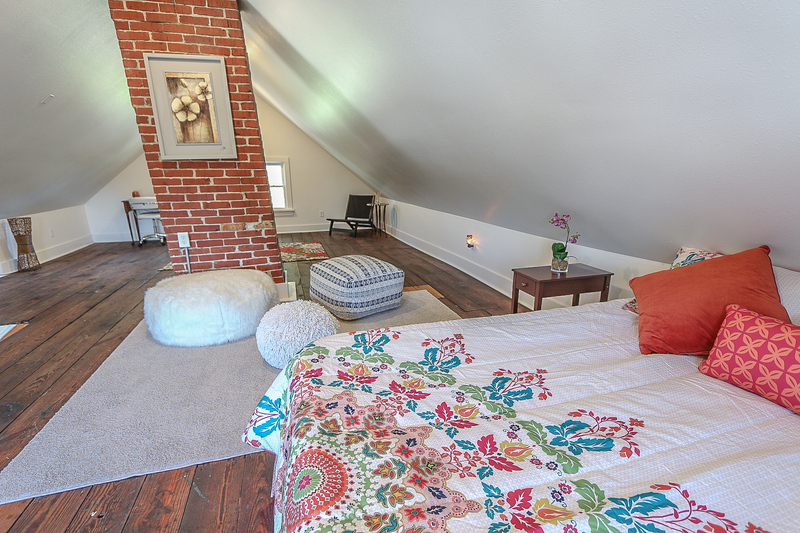 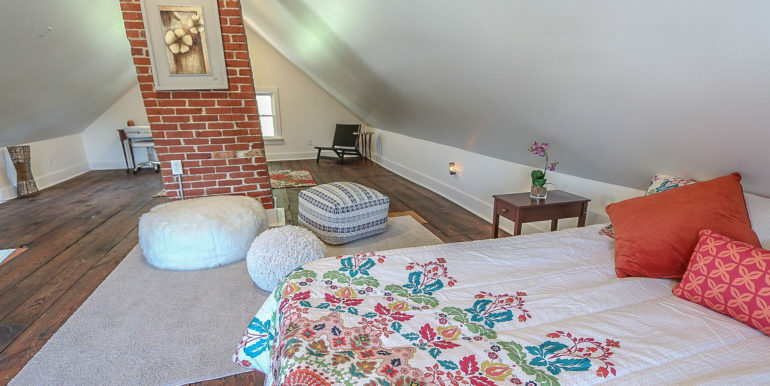 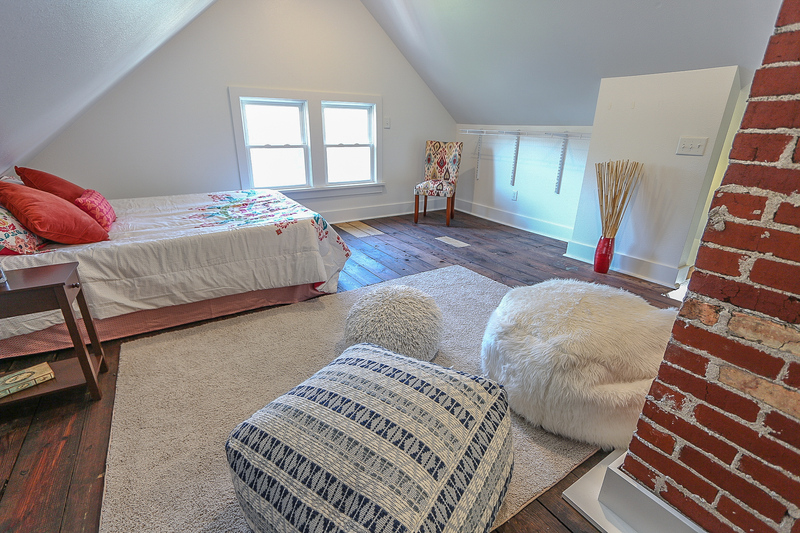 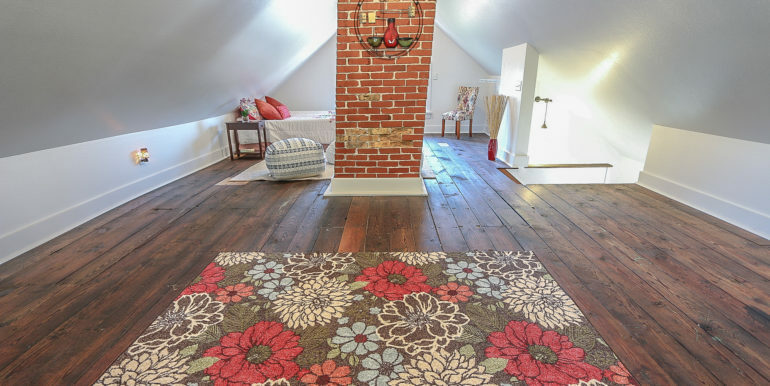 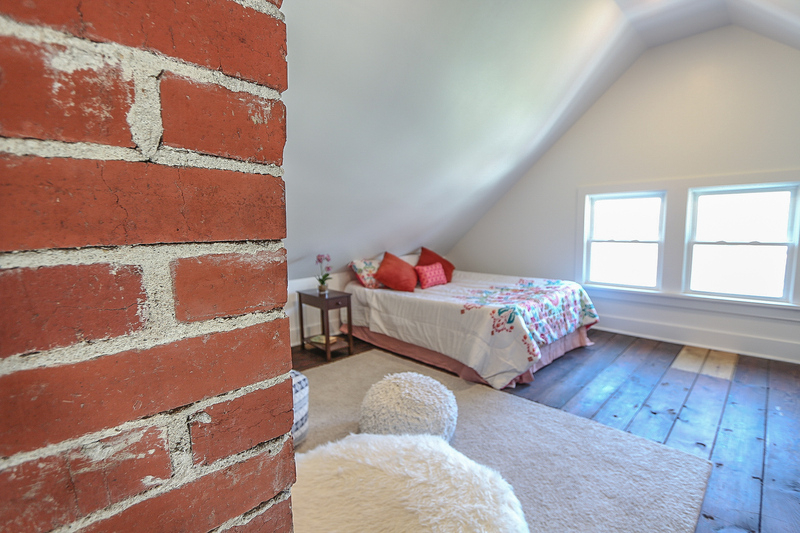 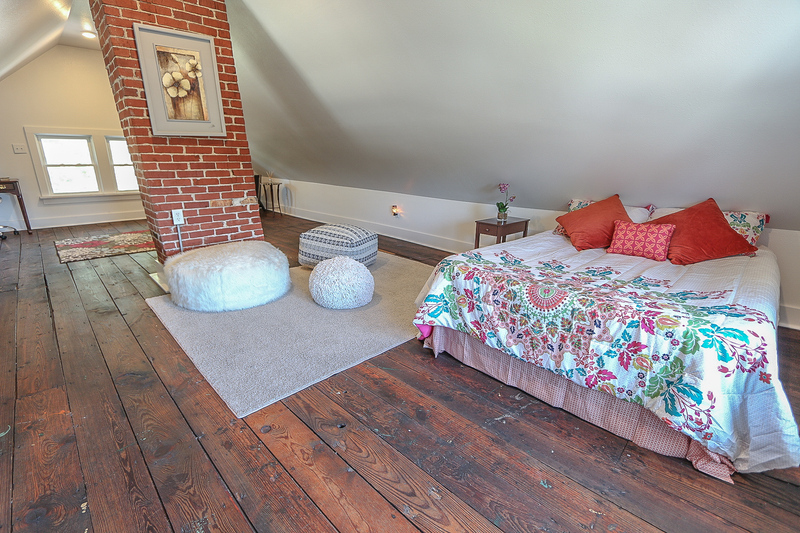 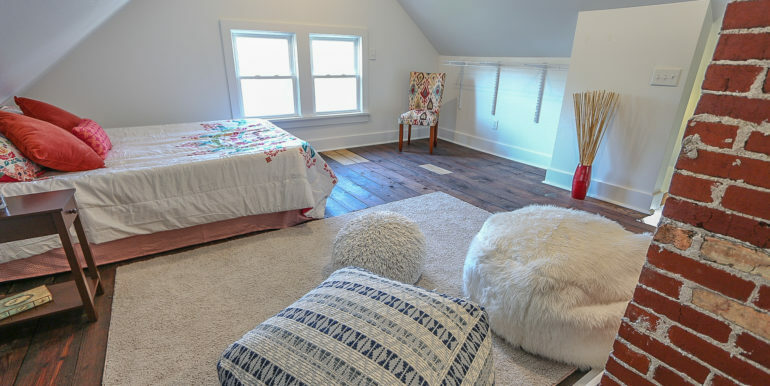 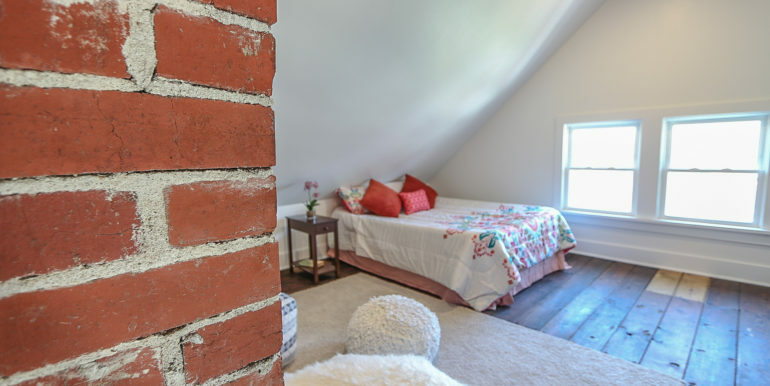 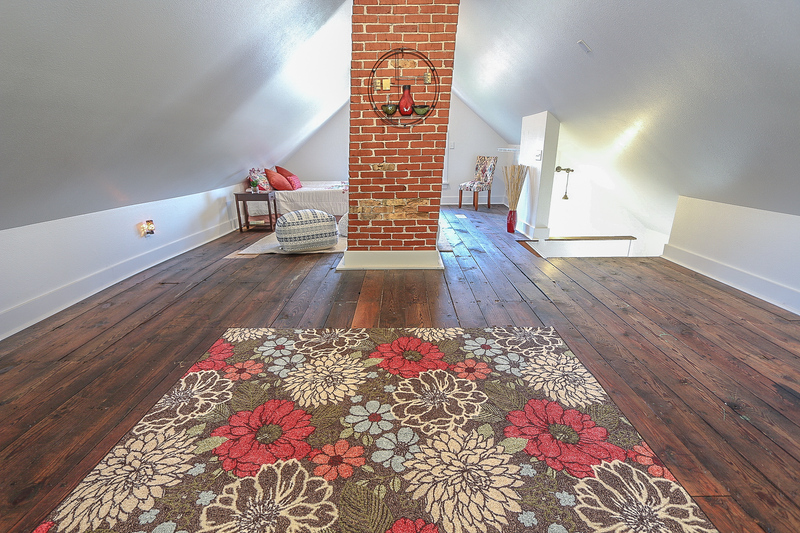 Last but not least – We have a created a beautiful master bedroom loft accented by the centralized brick chimney and the original rustic floor. 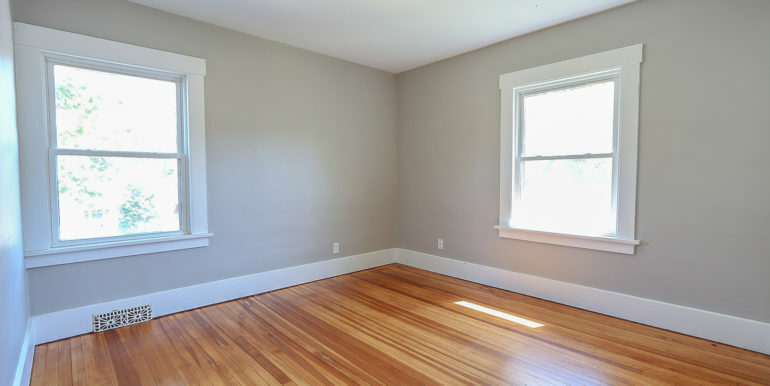 There is a enough here for two queen beds, a king bed, or convert it into a child’s play room, movie room, or secondary living space. 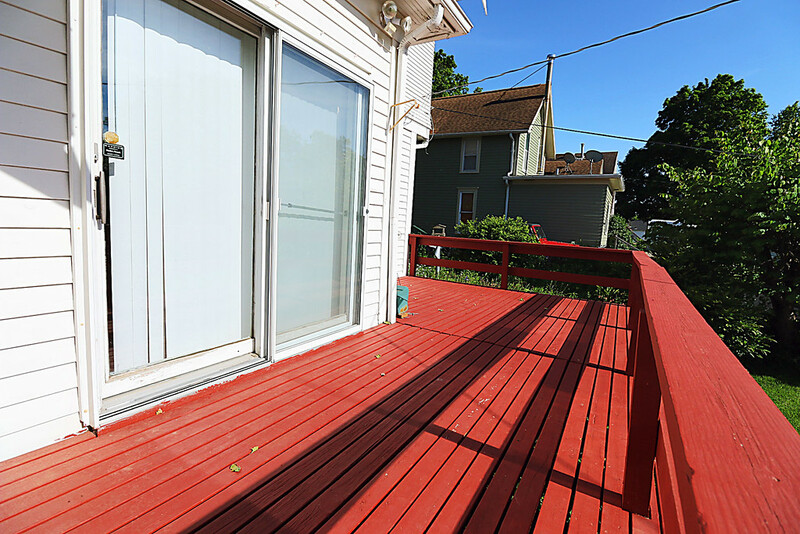 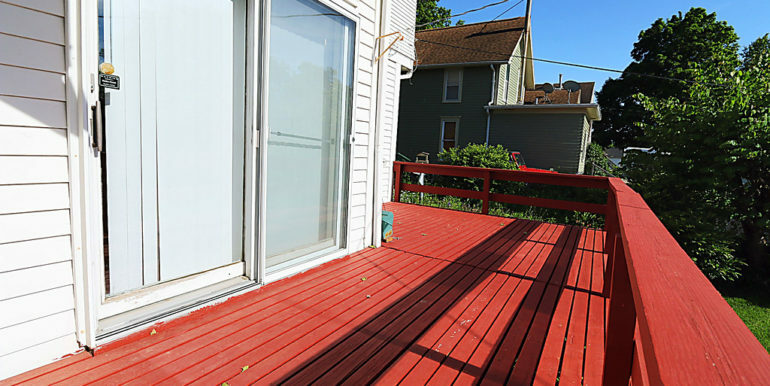 Outside, a 10×20 ft deck overlooks the large backyard and is an ideal place for grilling or enjoying the outdoors. 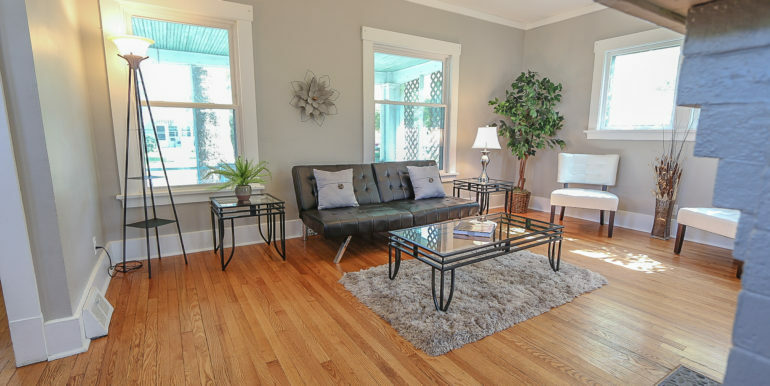 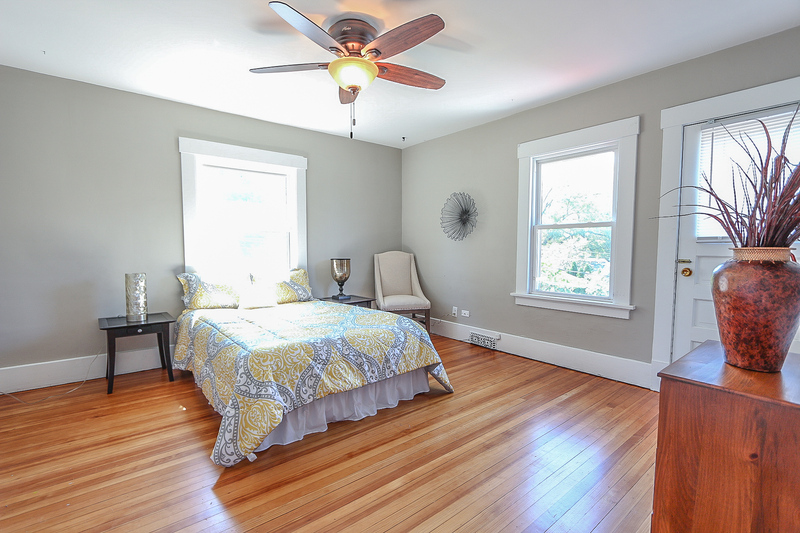 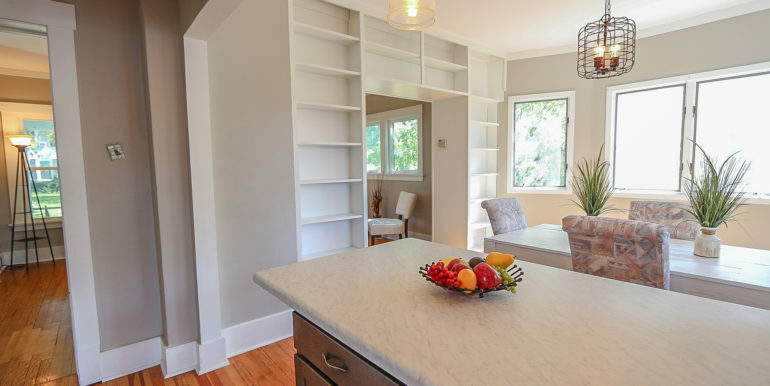 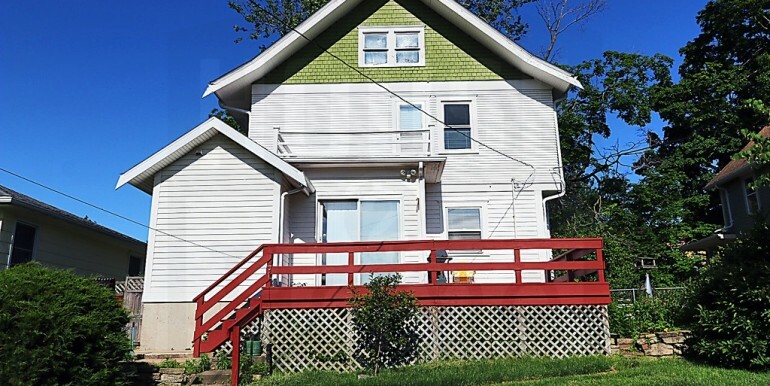 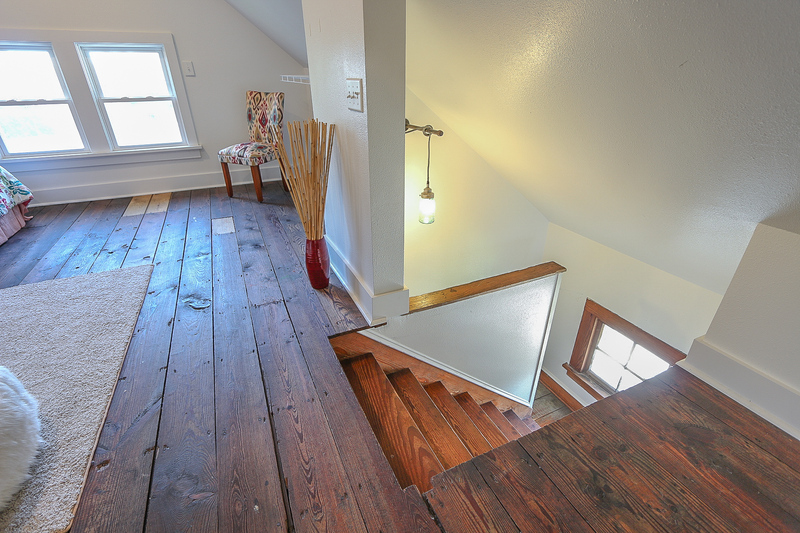 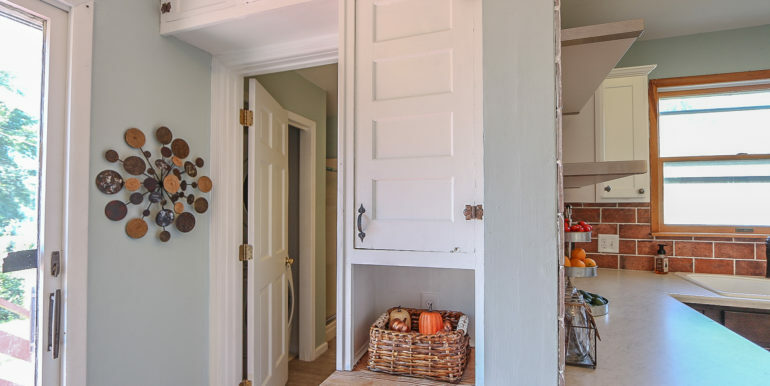 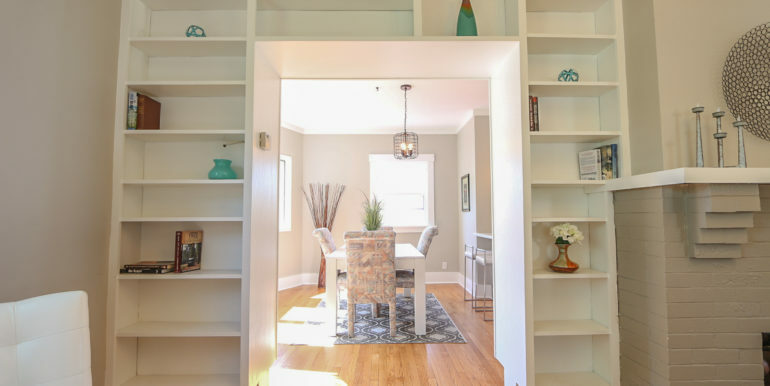 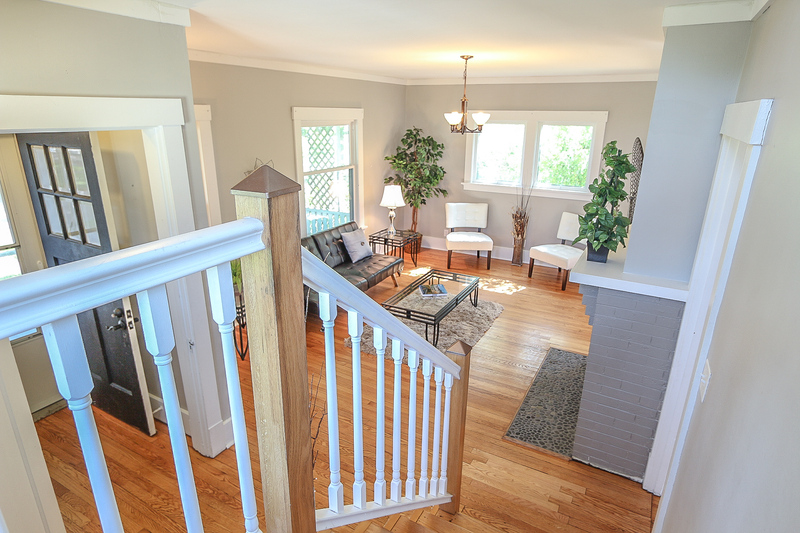 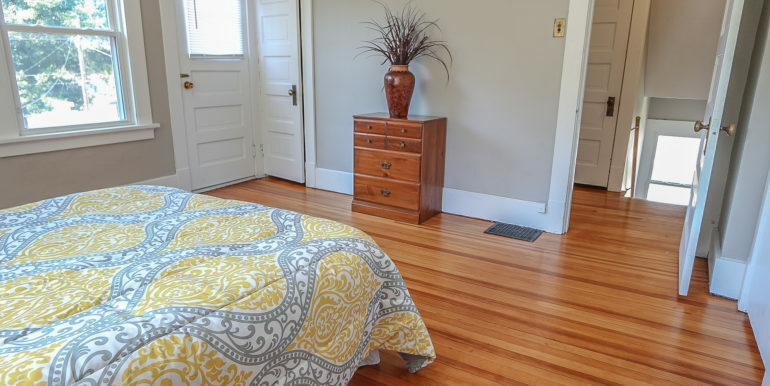 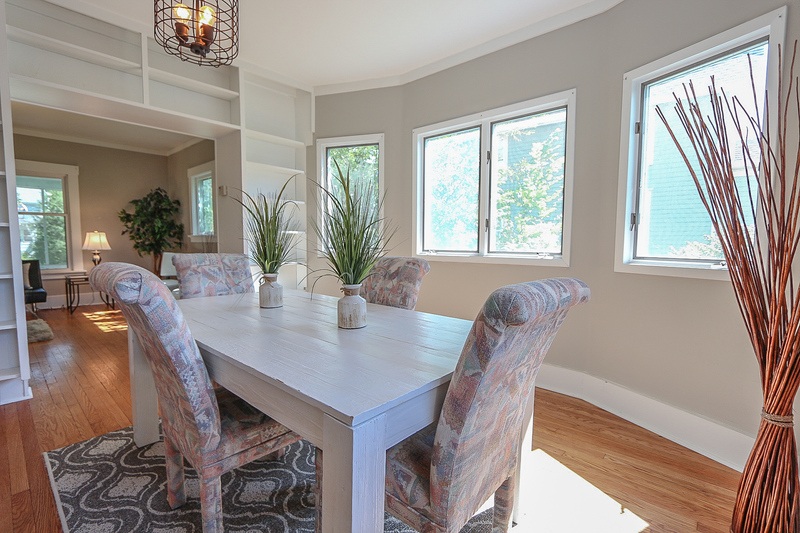 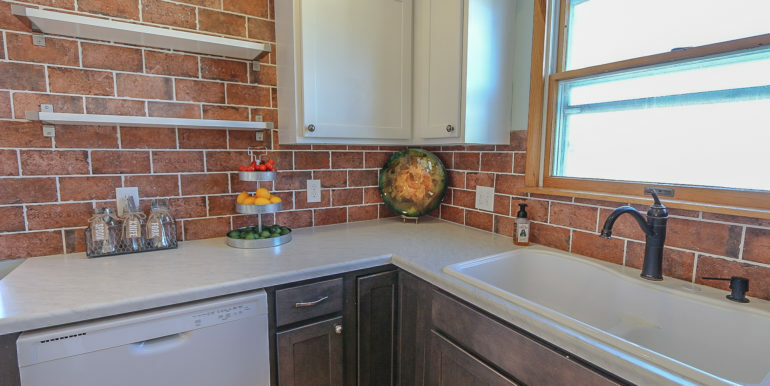 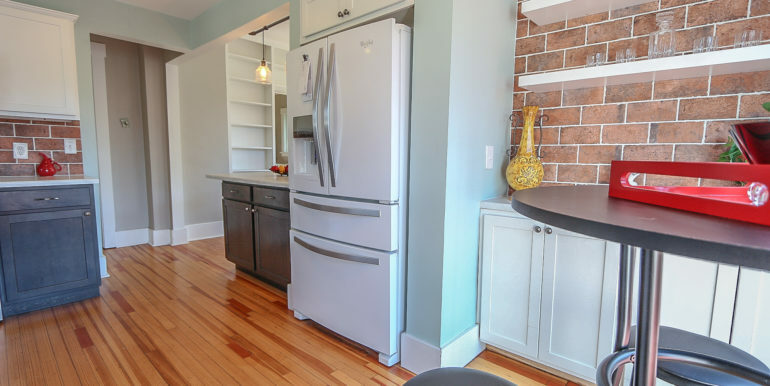 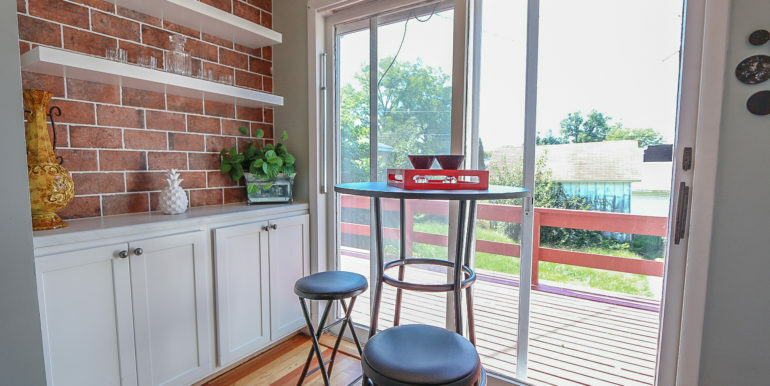 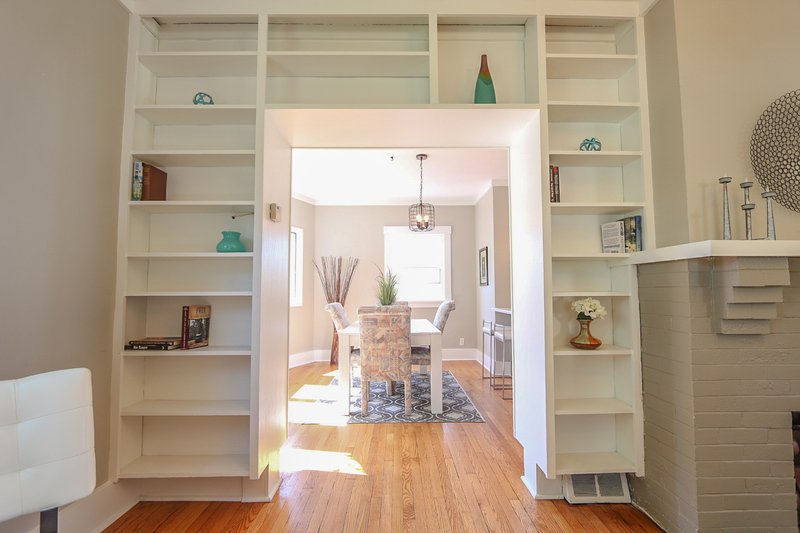 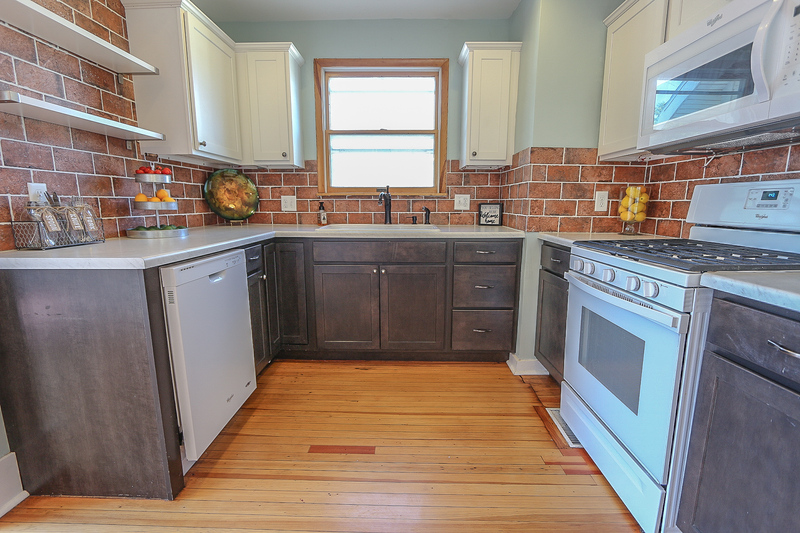 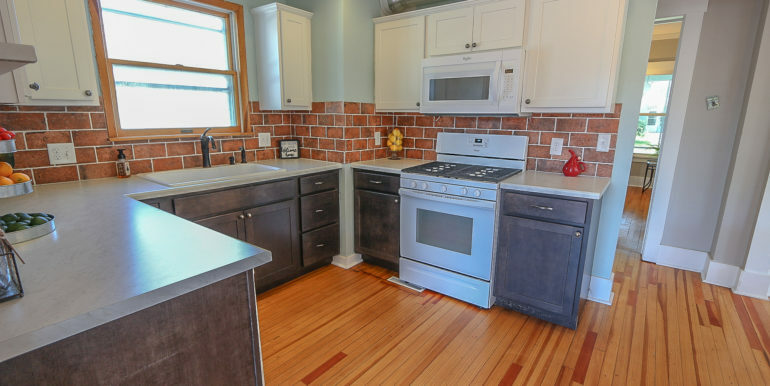 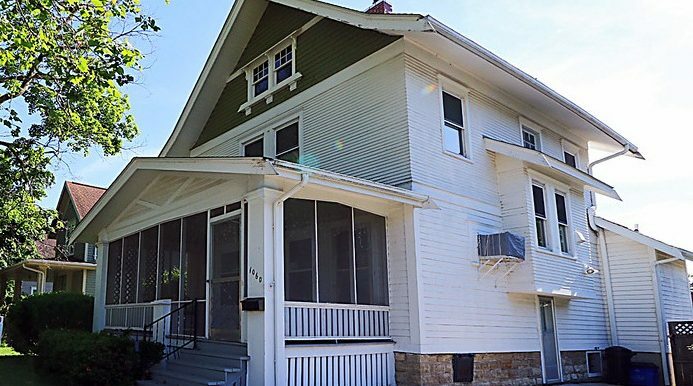 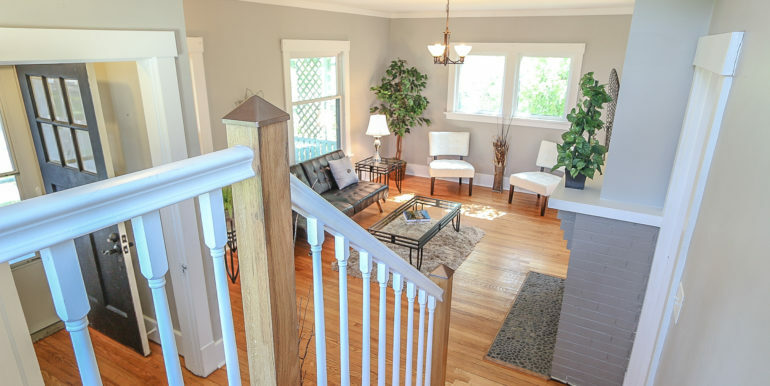 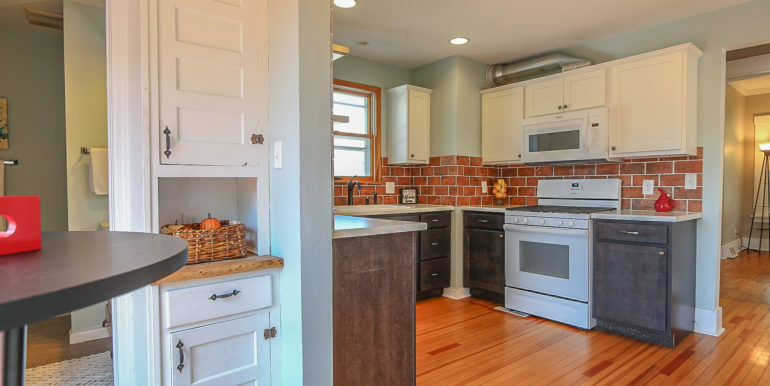 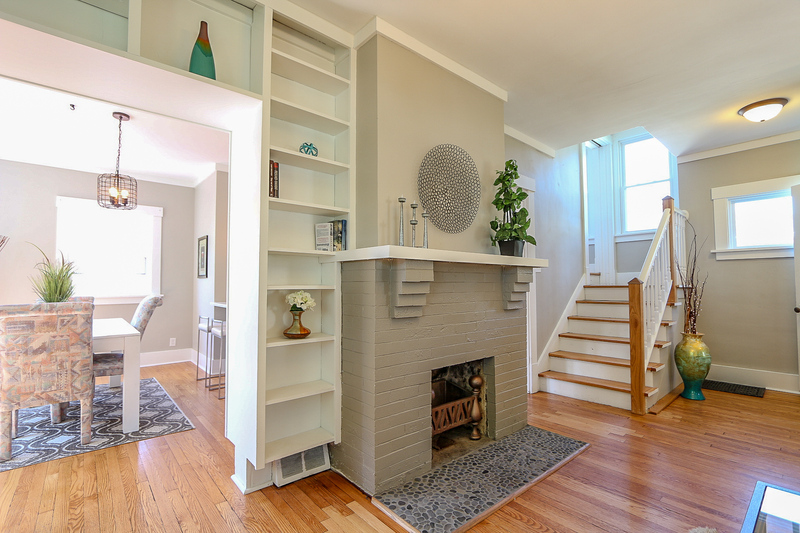 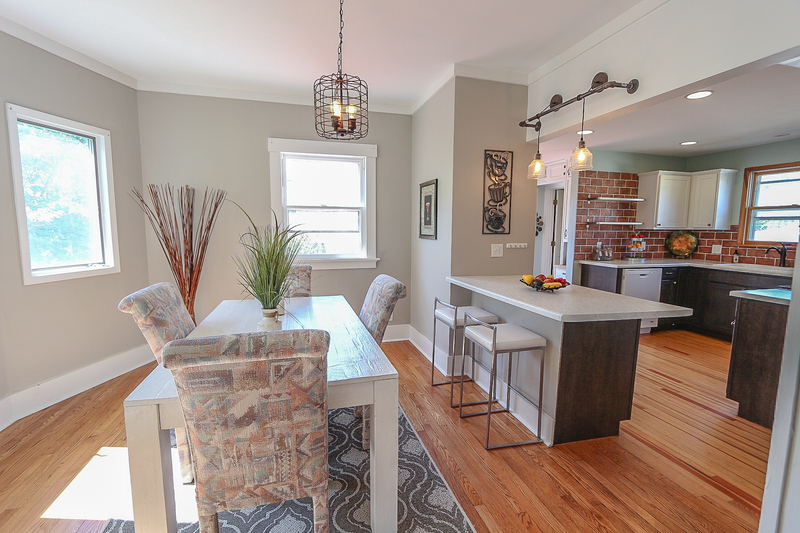 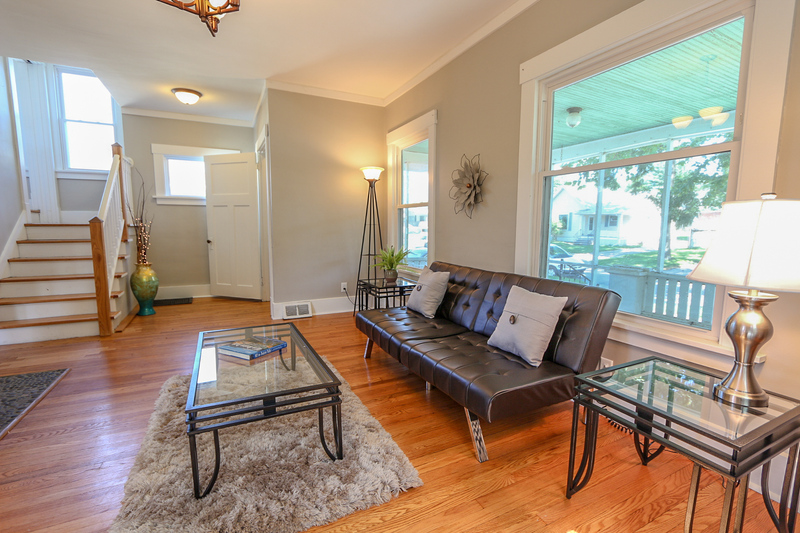 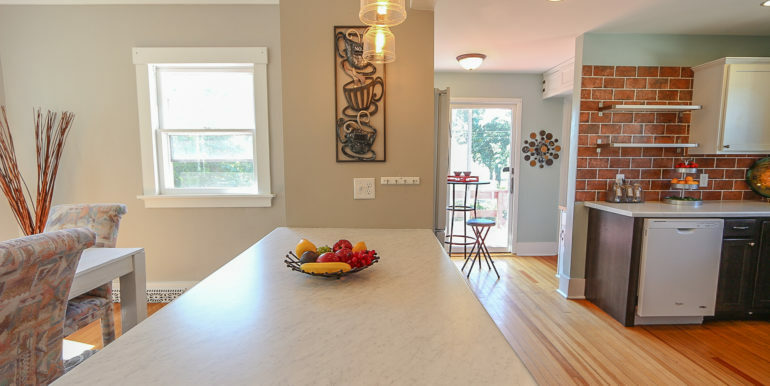 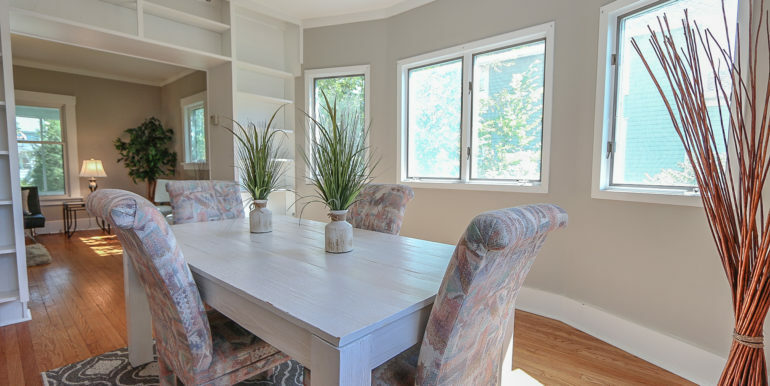 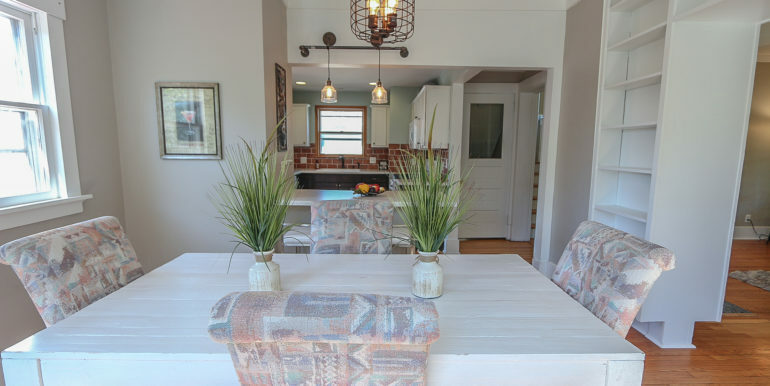 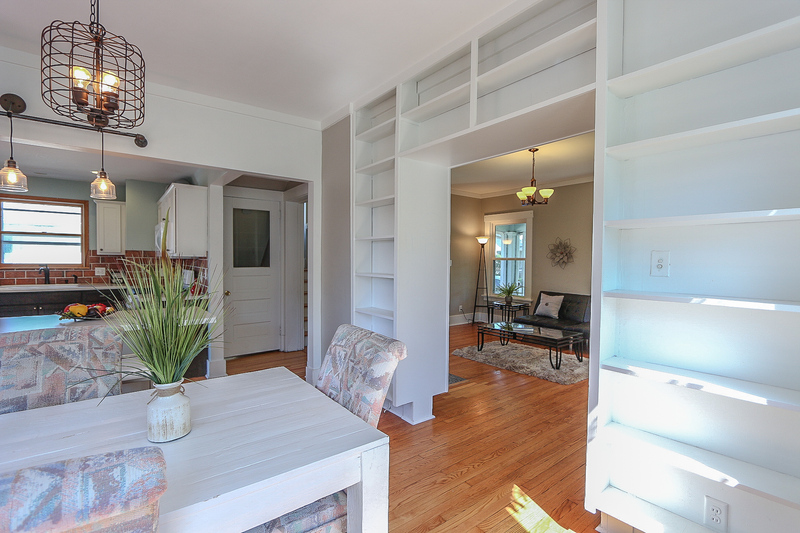 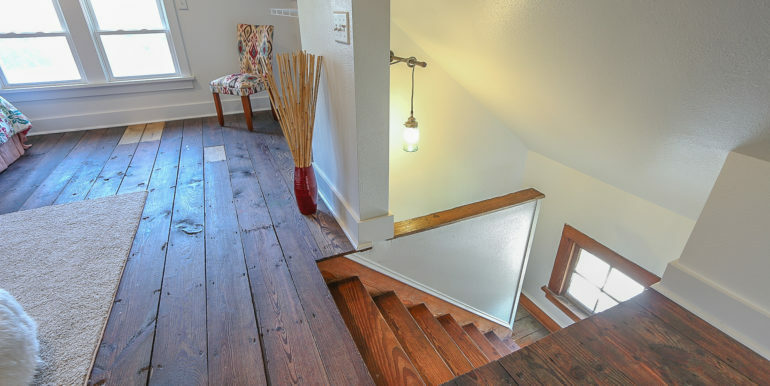 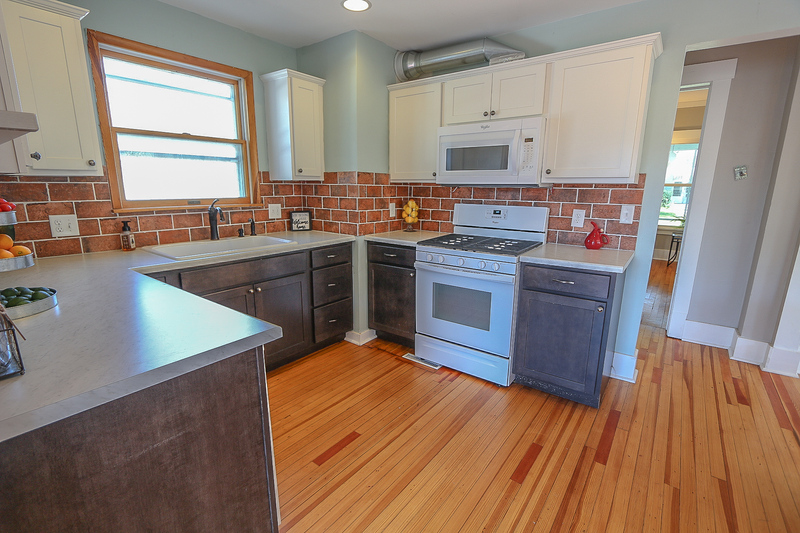 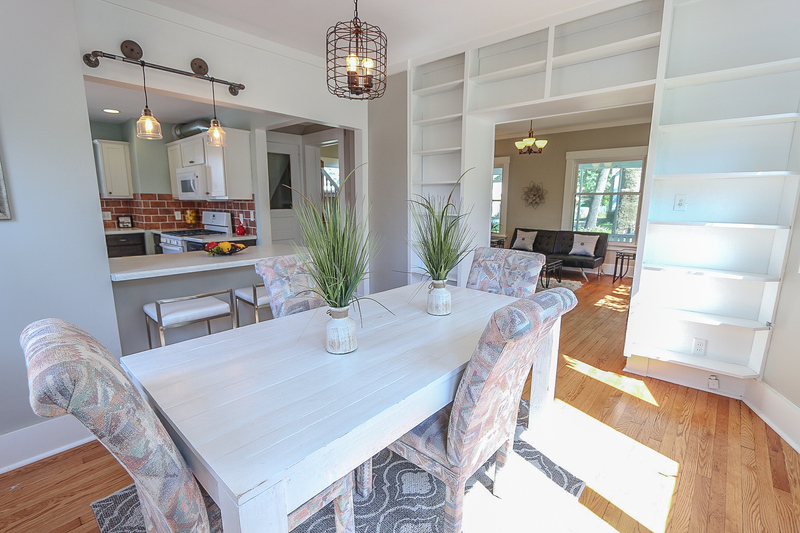 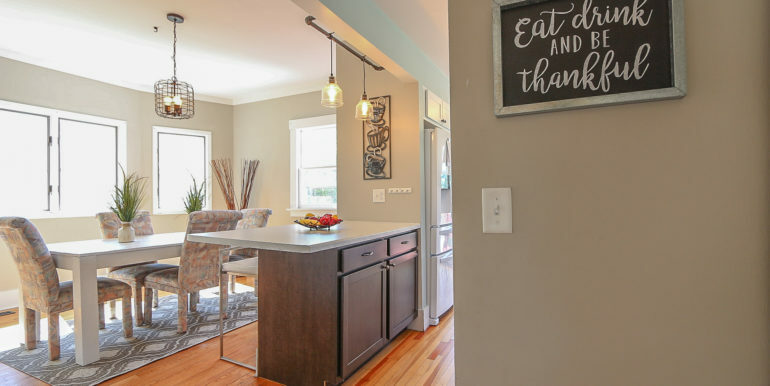 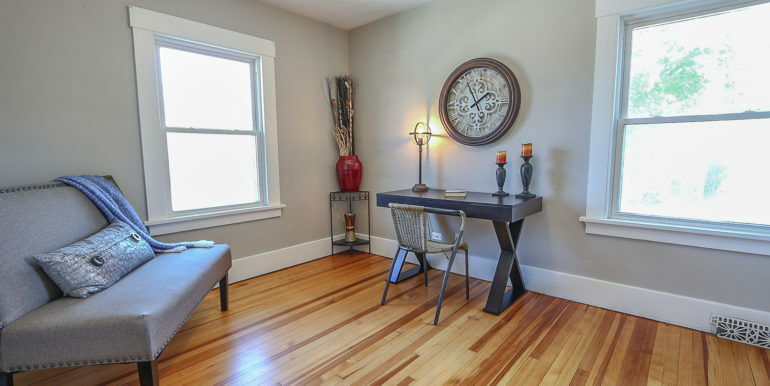 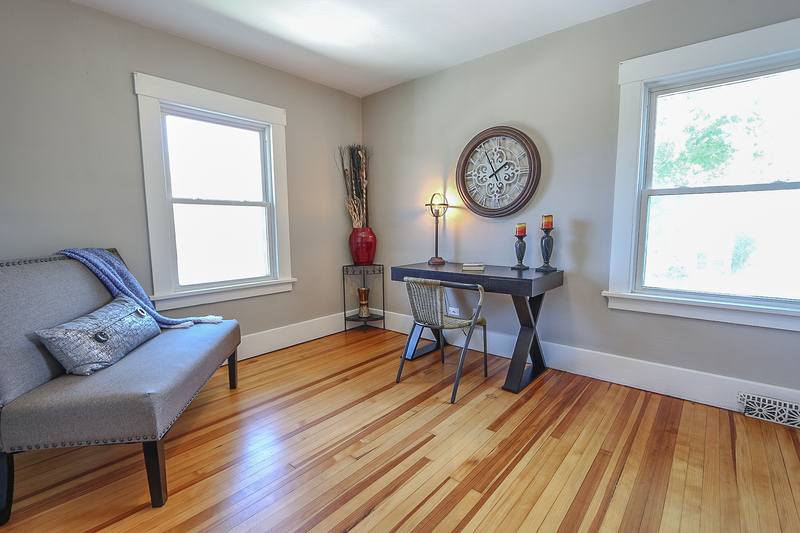 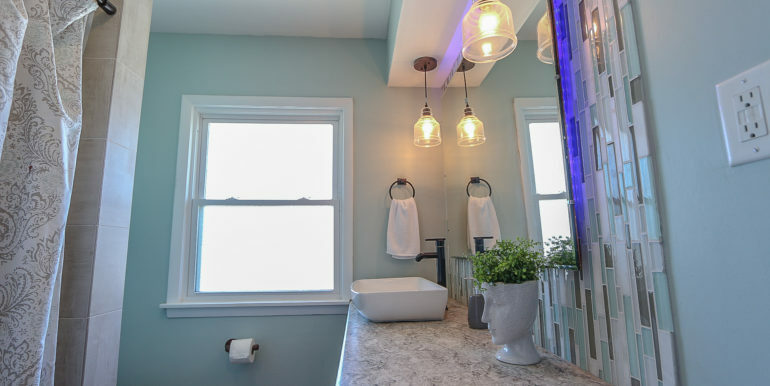 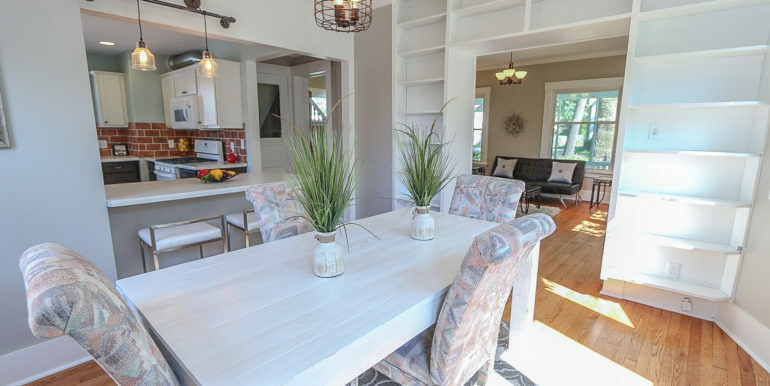 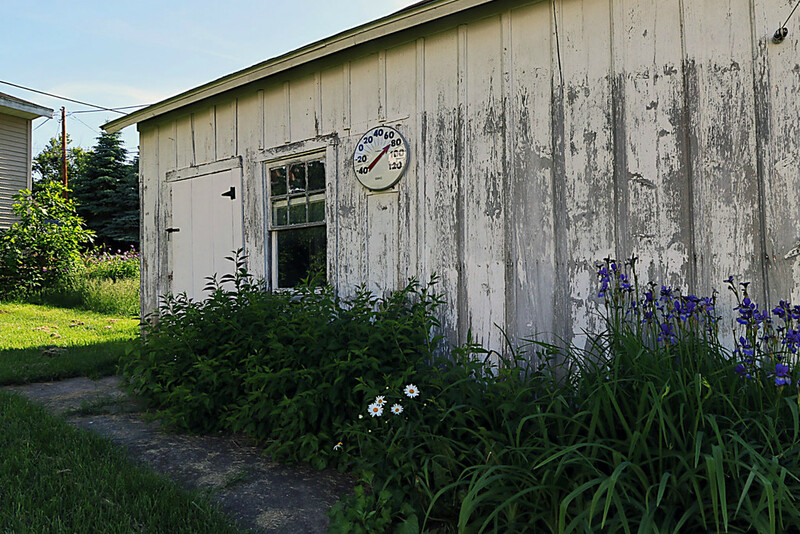 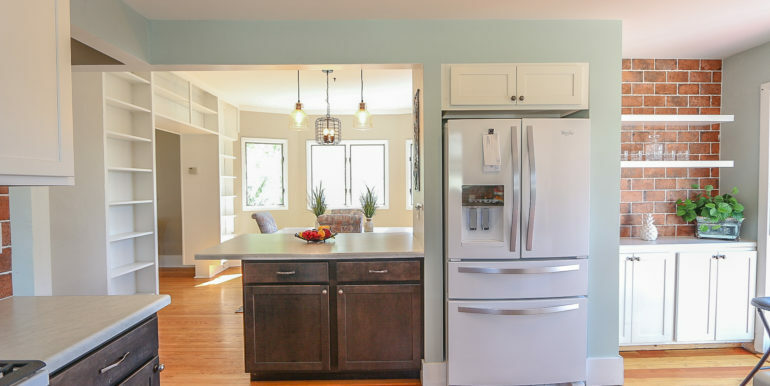 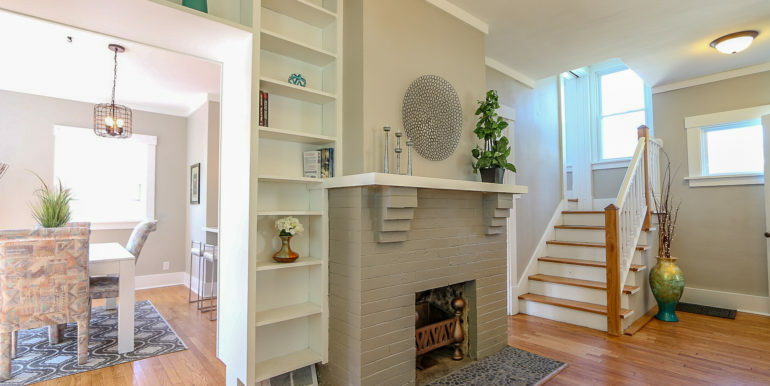 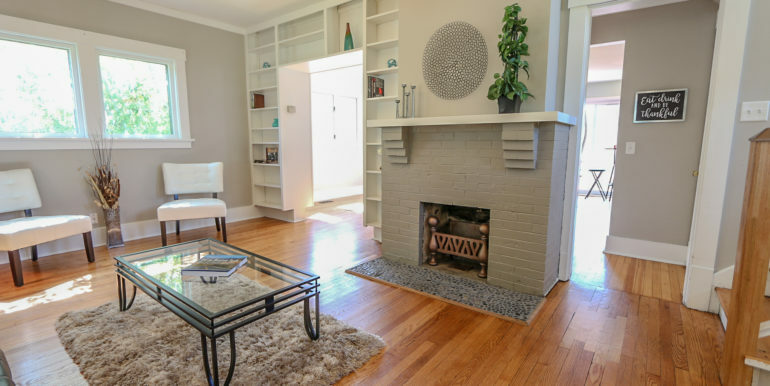 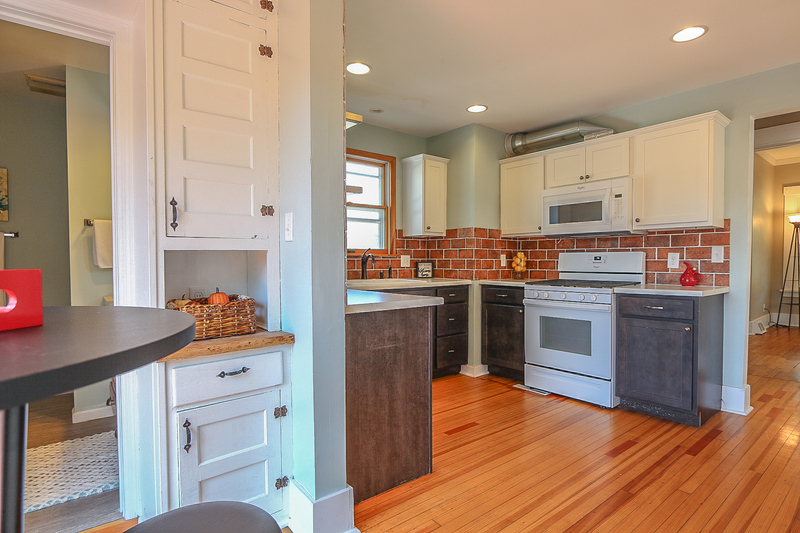 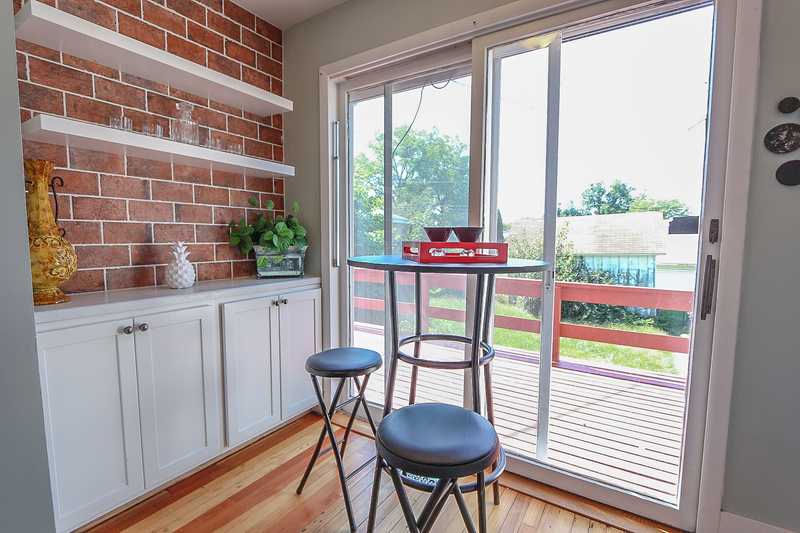 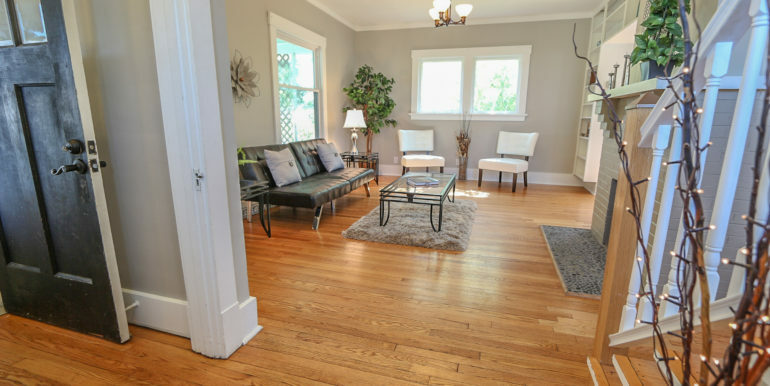 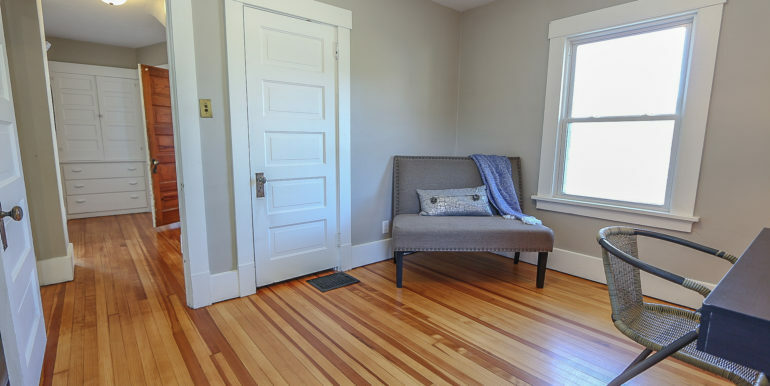 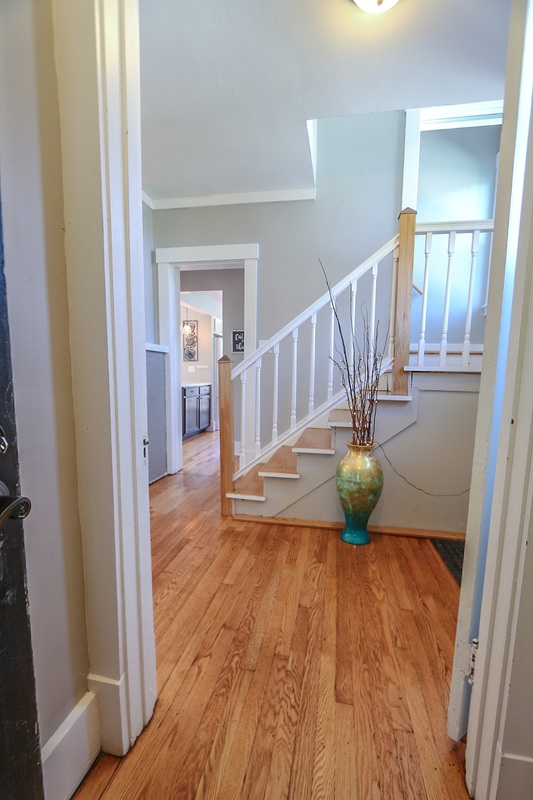 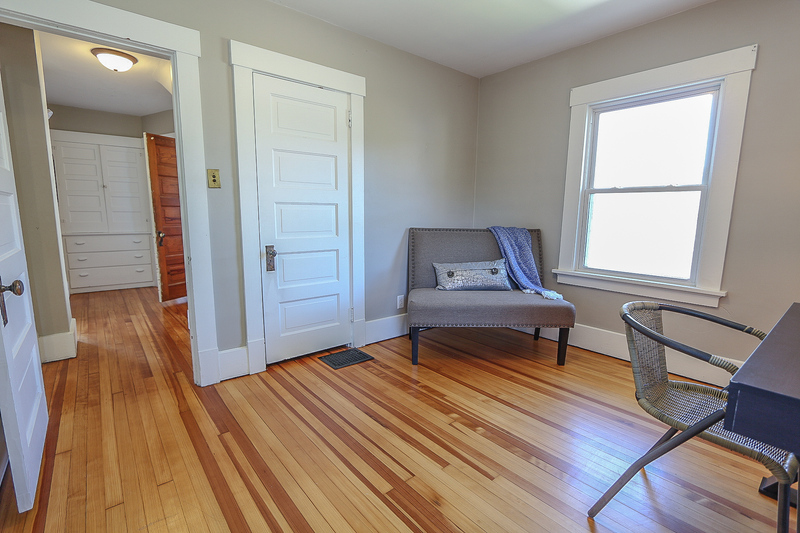 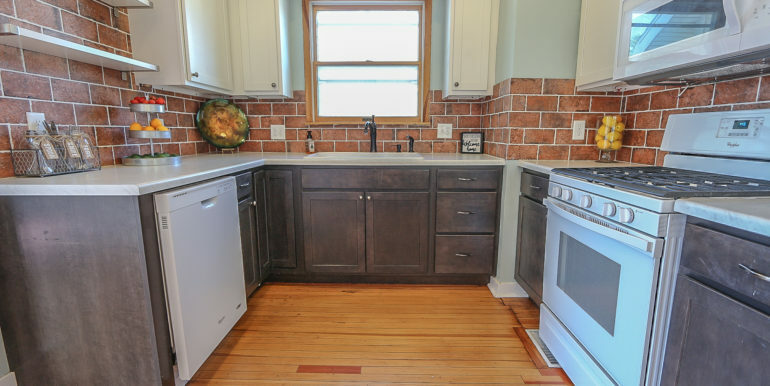 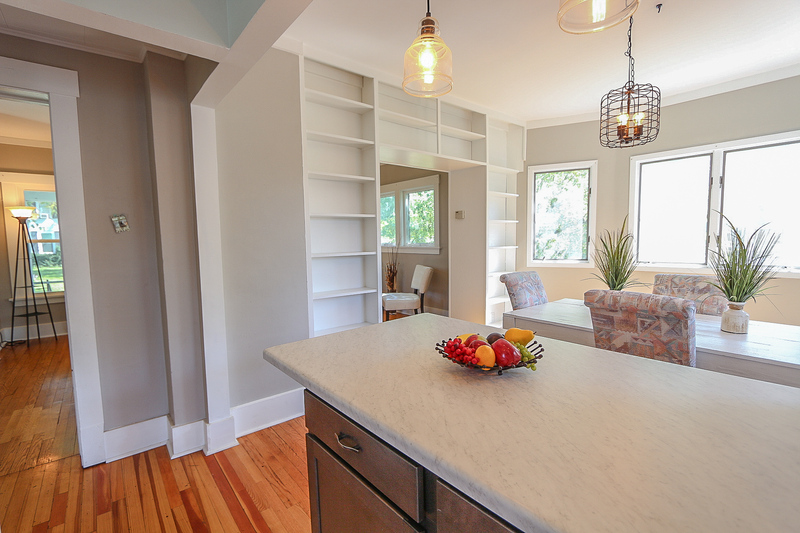 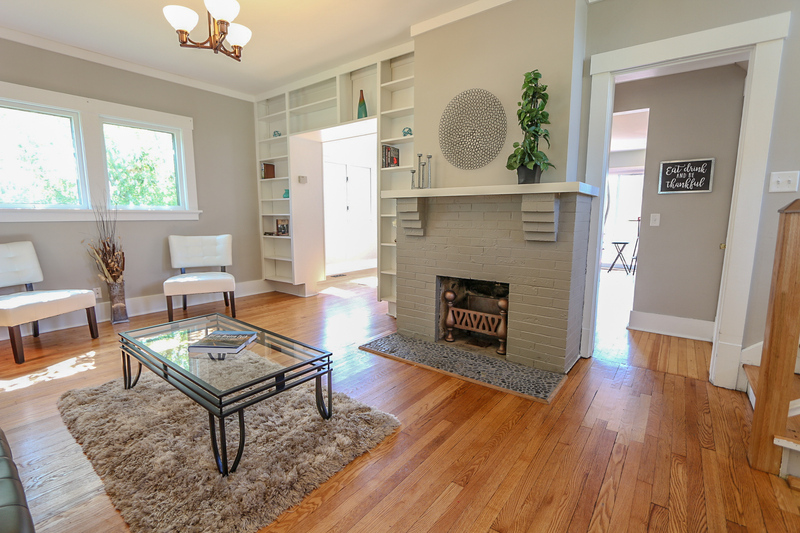 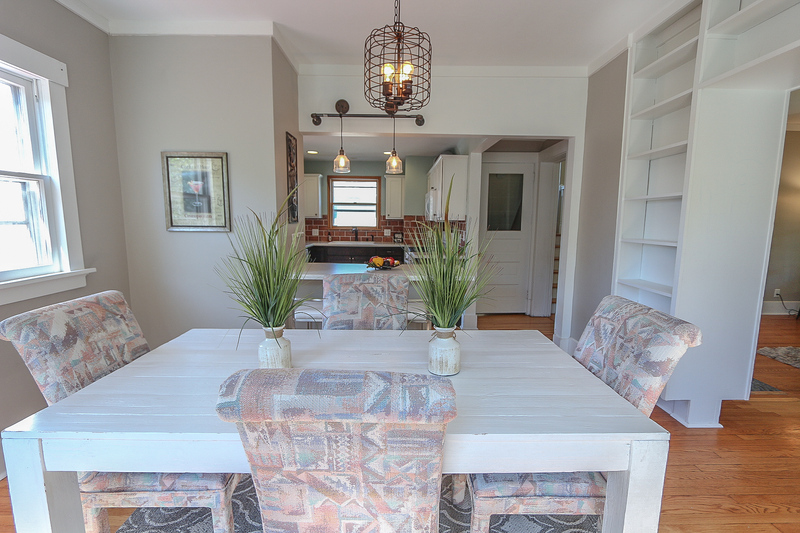 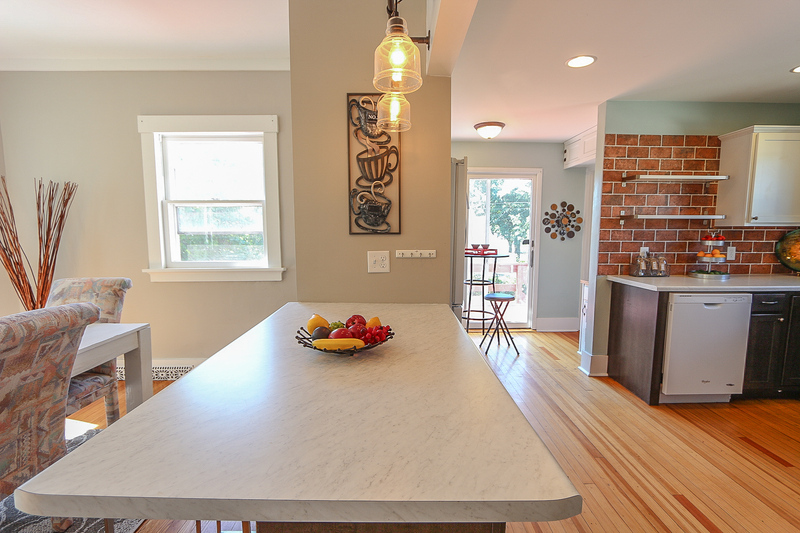 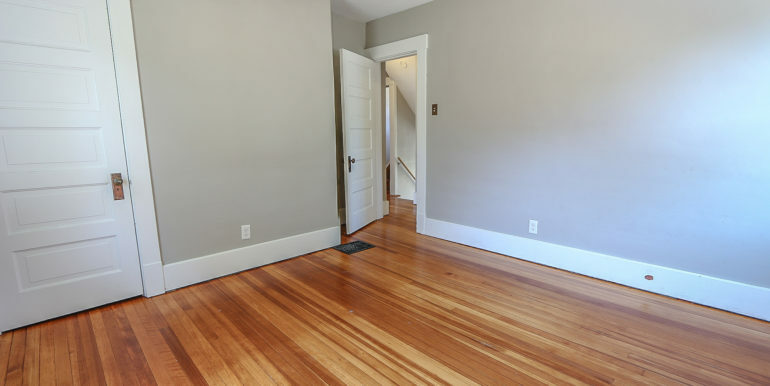 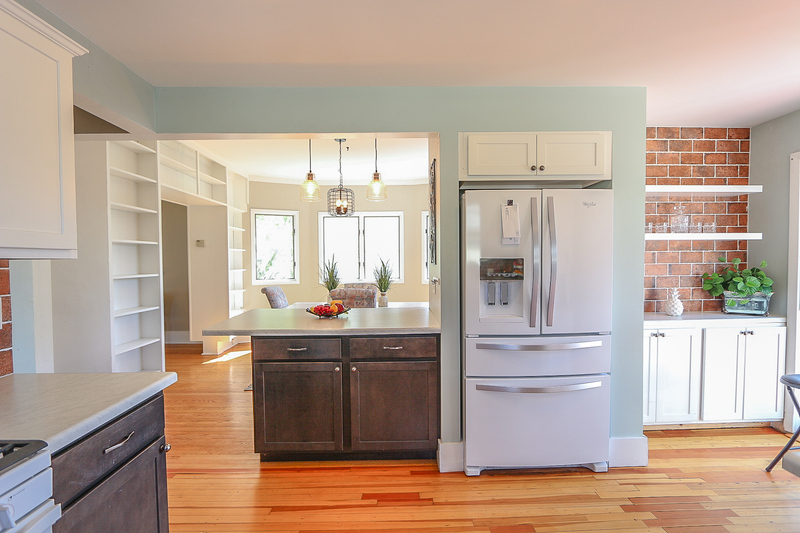 With newly installed central air, an updated electrical panel, and fresh paint throughout, you’ll be hard-pressed to find another house with this combination of original craftsmanship, charm and modern enhancements.